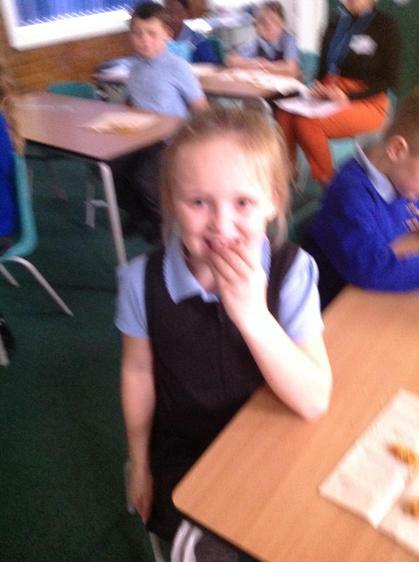 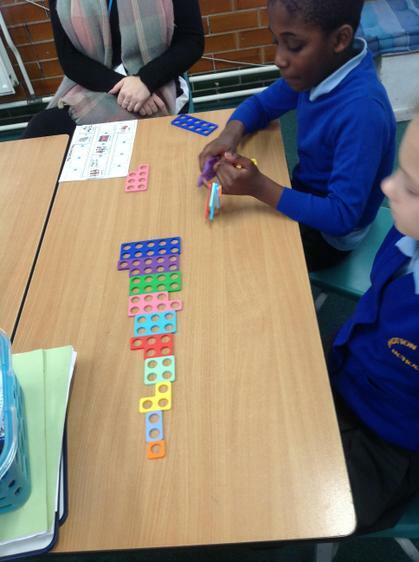 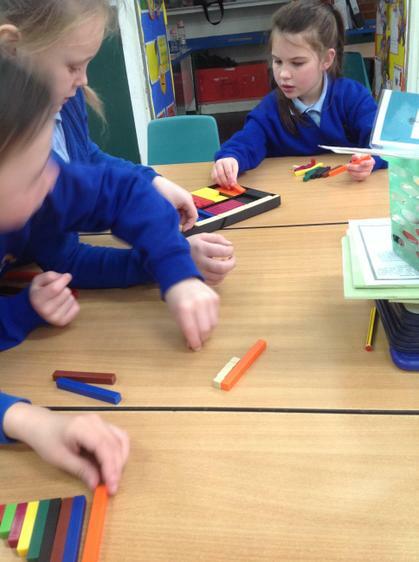 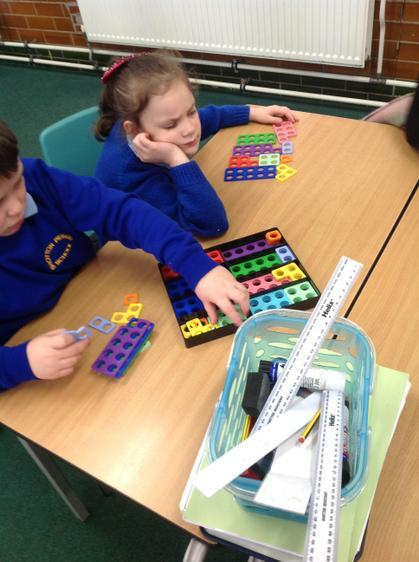 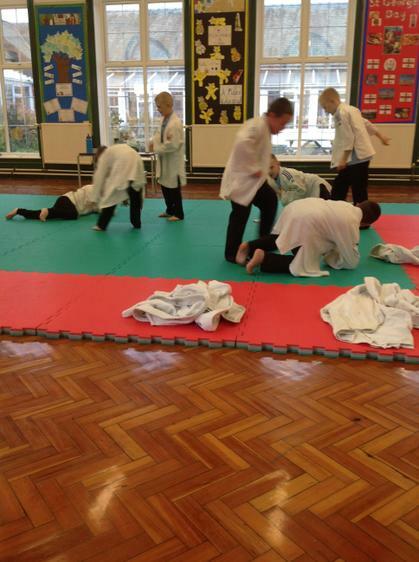 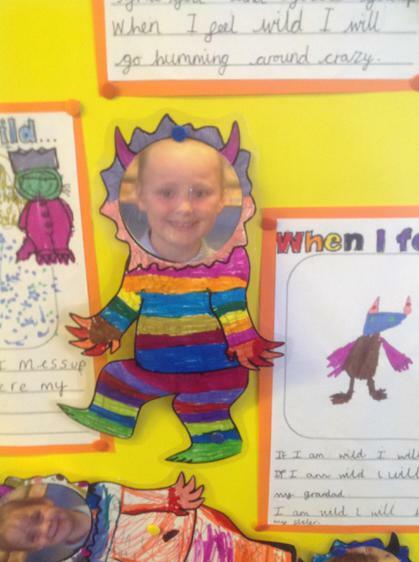 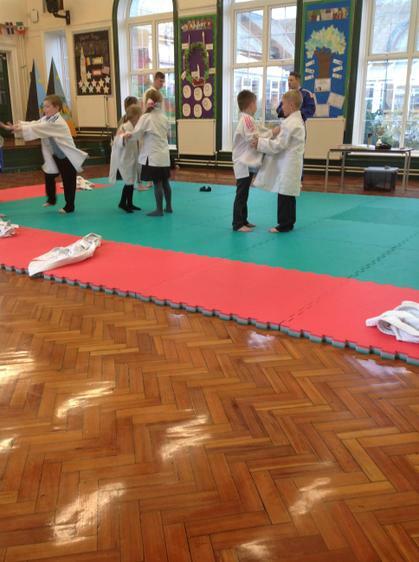 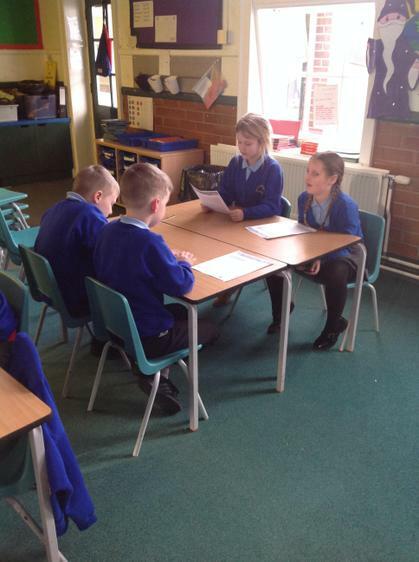 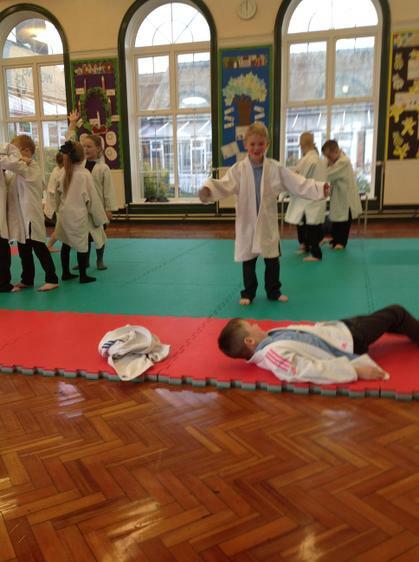 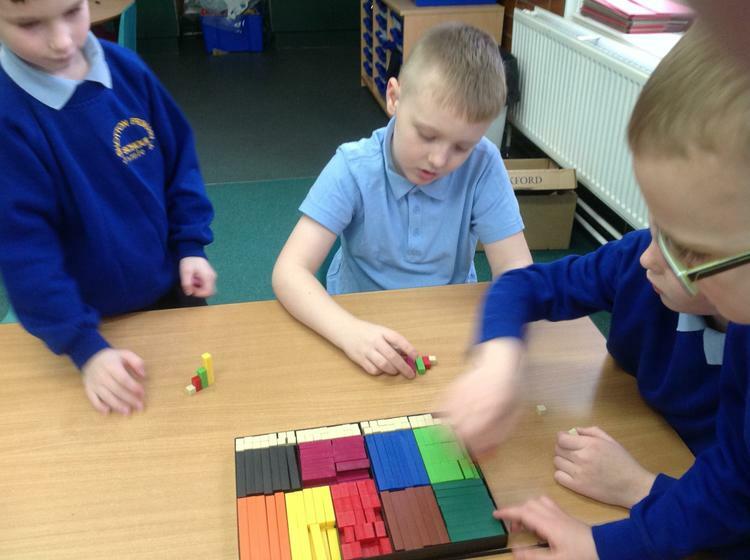 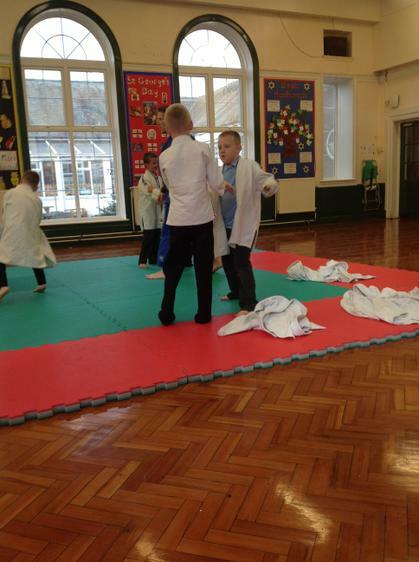 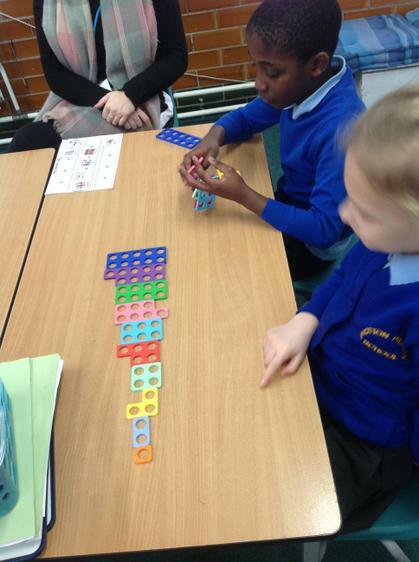 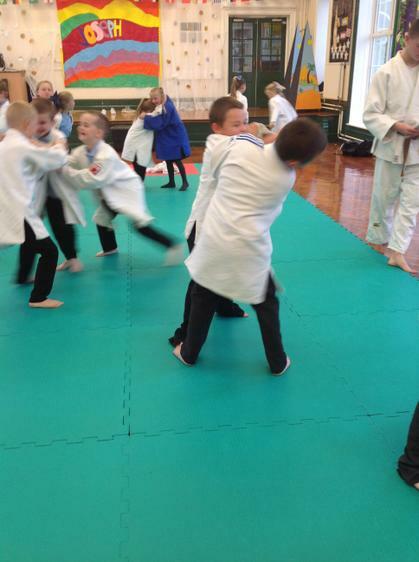 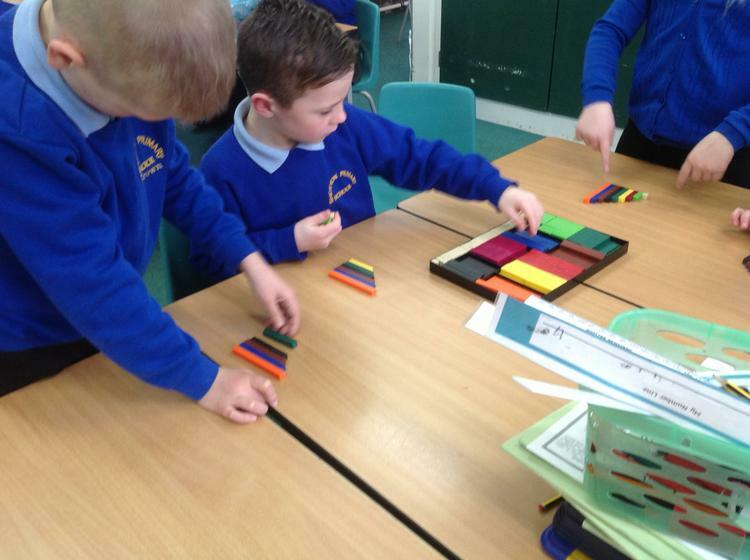 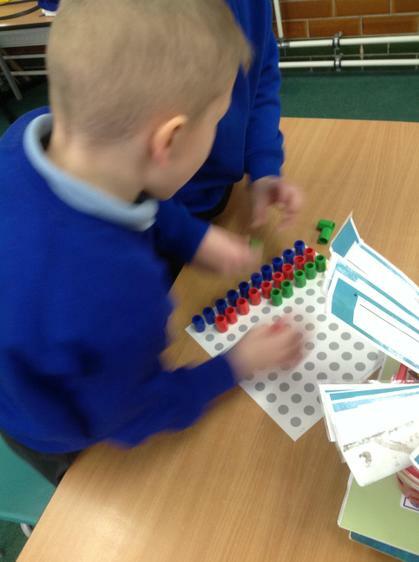 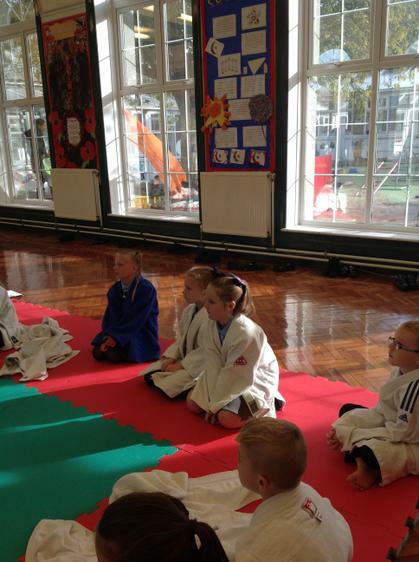 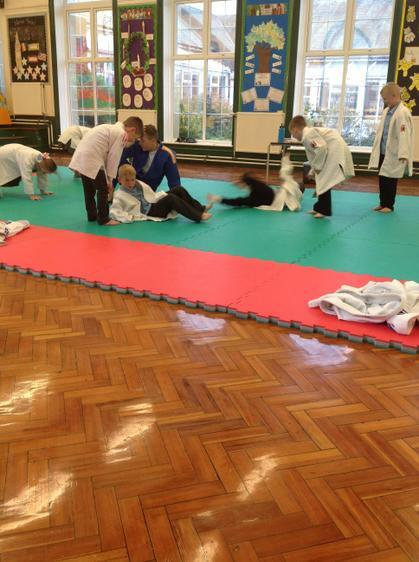 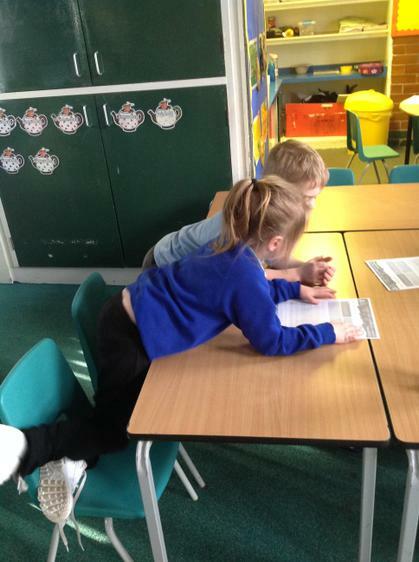 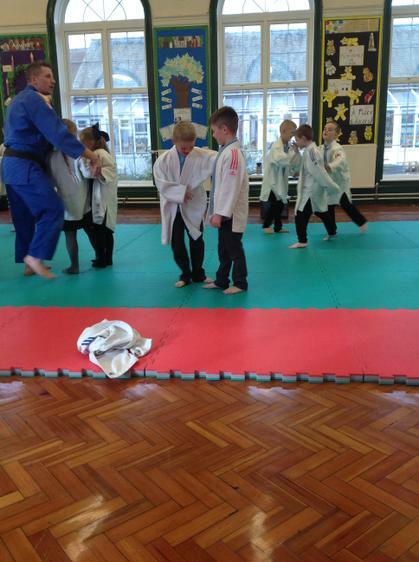 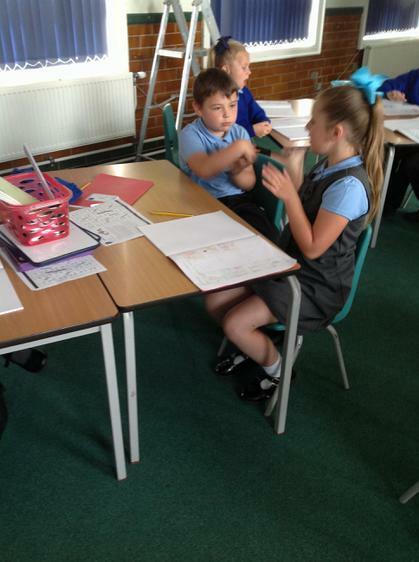 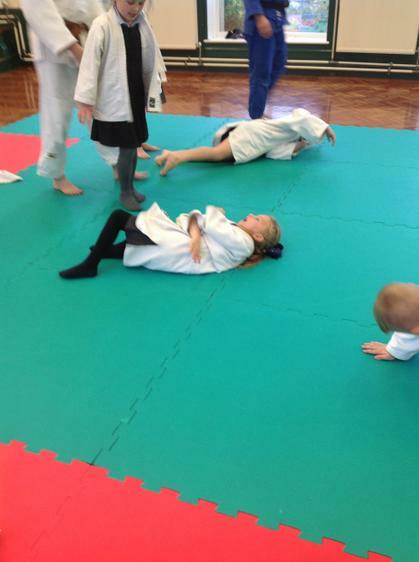 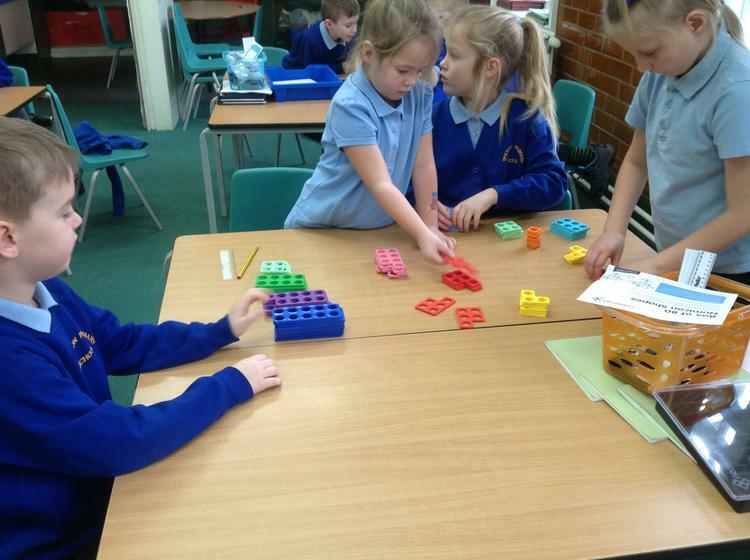 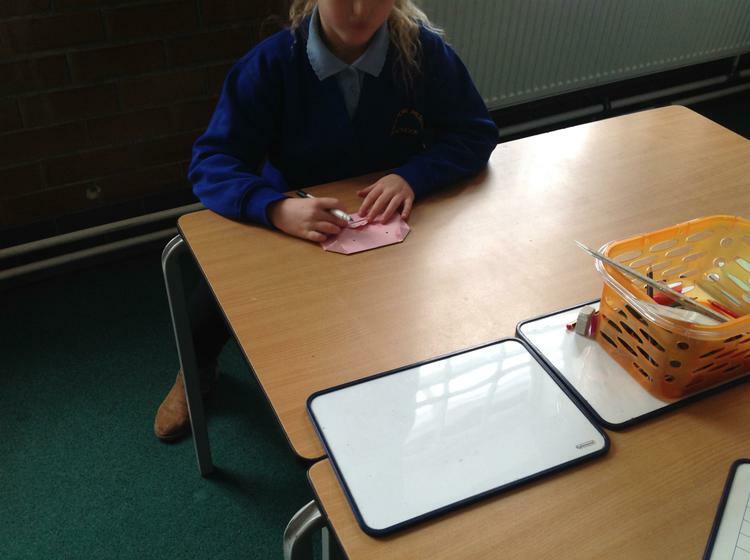 On our page you will find lots of exciting information about what the children are learning in class. 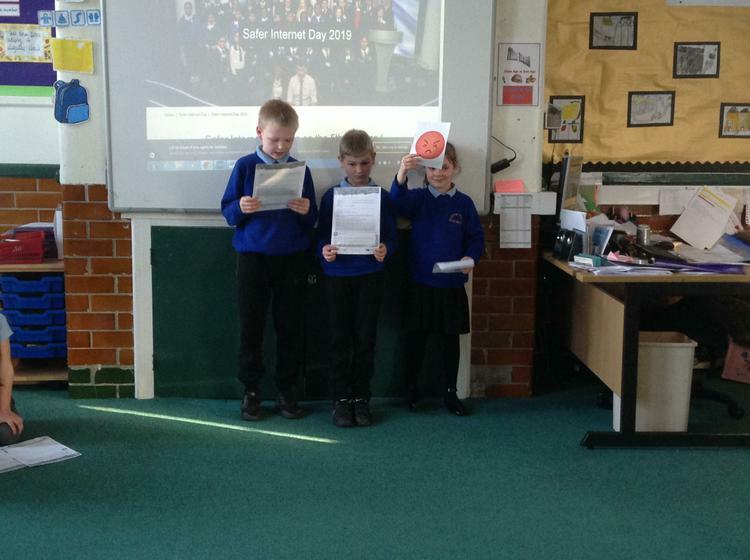 We will also be sharing all the exciting events that are coming up throughout the year. 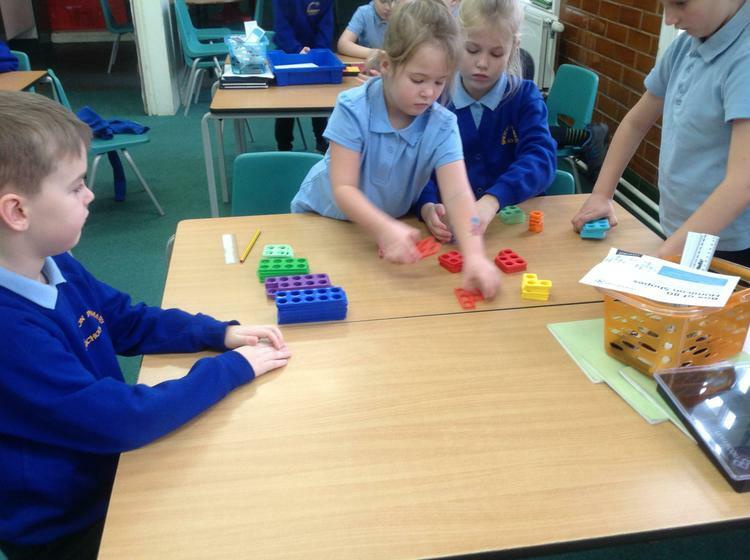 We will share with you any special activities, exciting learning opportunities and examples of children's work. 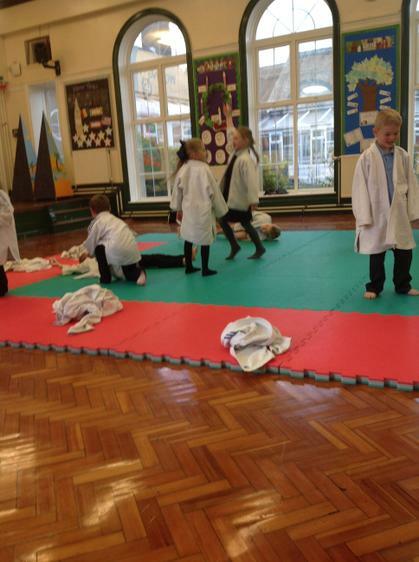 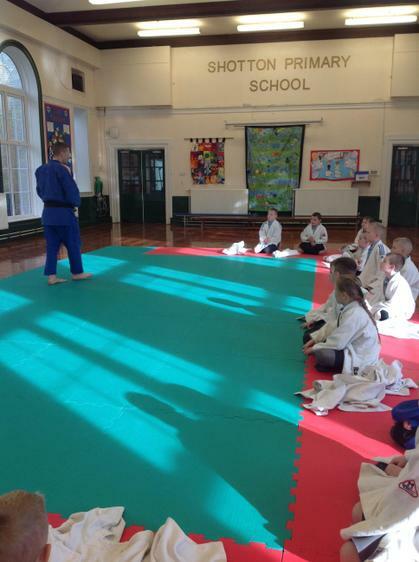 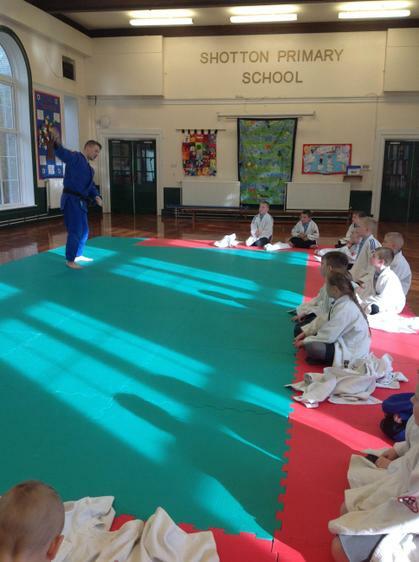 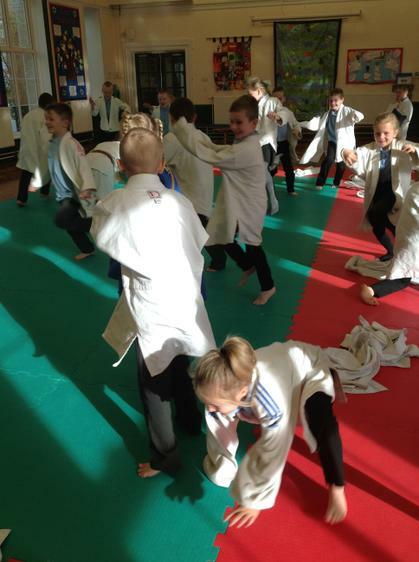 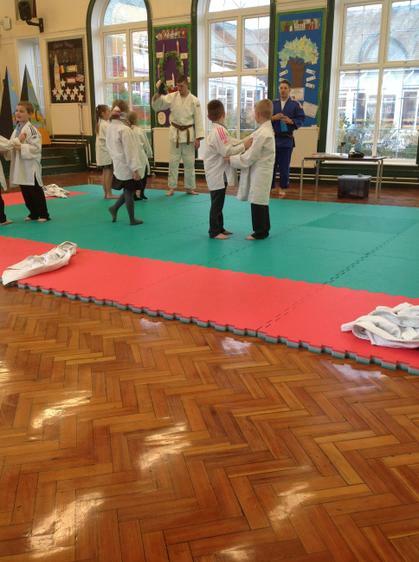 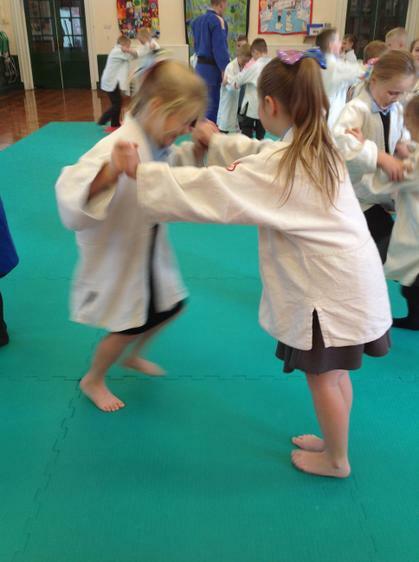 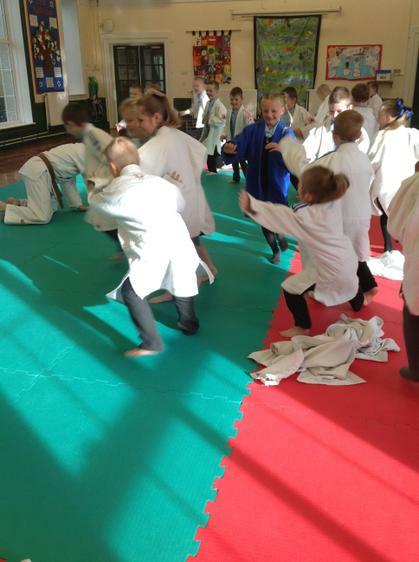 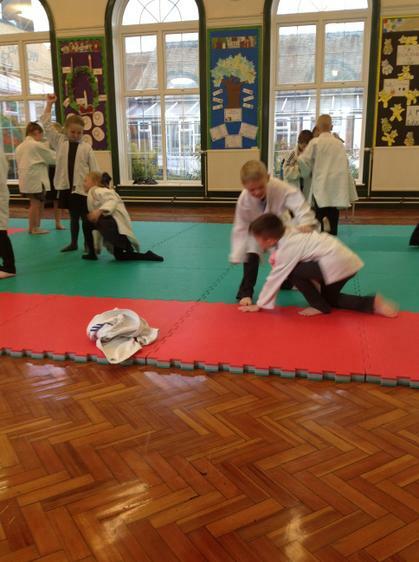 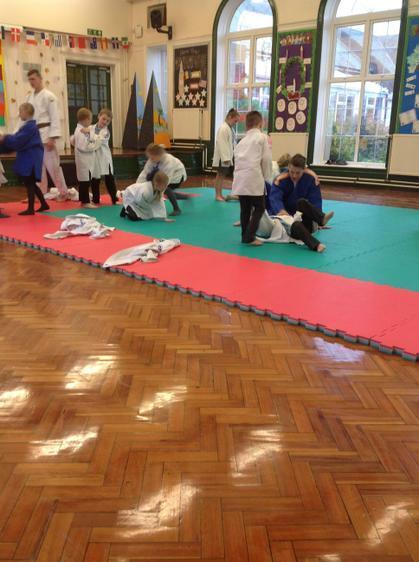 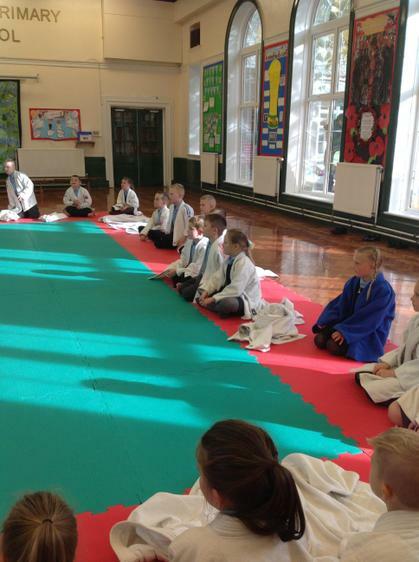 In our new class we have spent the past few weeks getting settled in to brand new routines and getting to know each other. 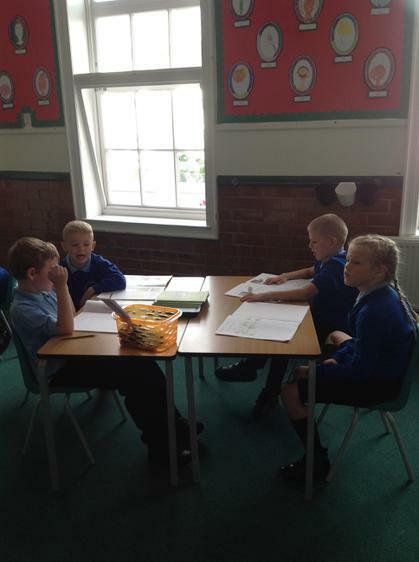 We have all worked very hard and are looking forward to all the exciting new learning opportunities we will have this year. 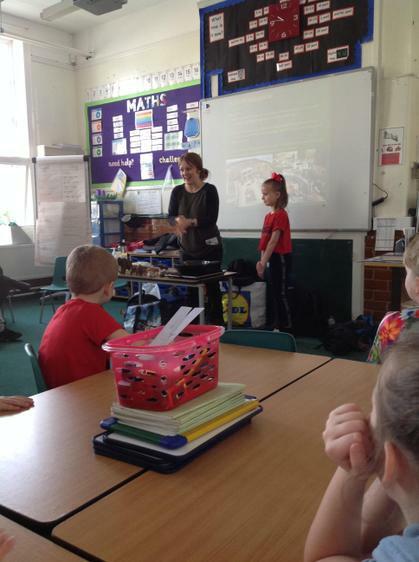 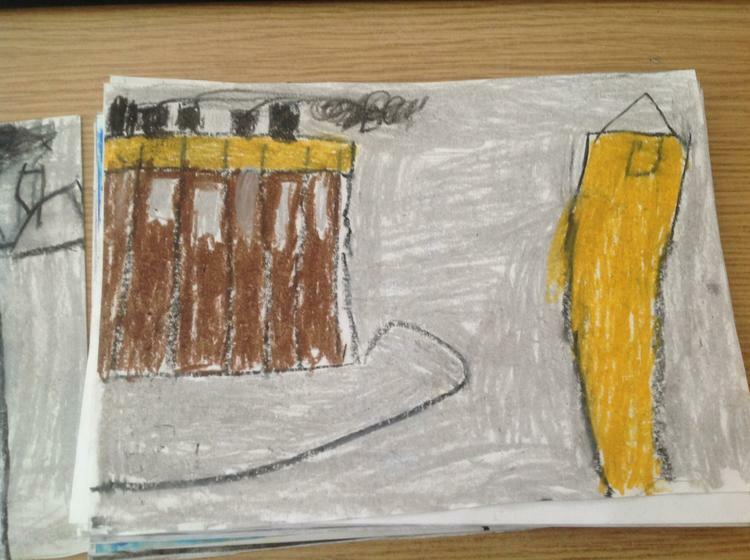 Our topic this term is Black Gold and we have started to learn all about what life was like down the mine. 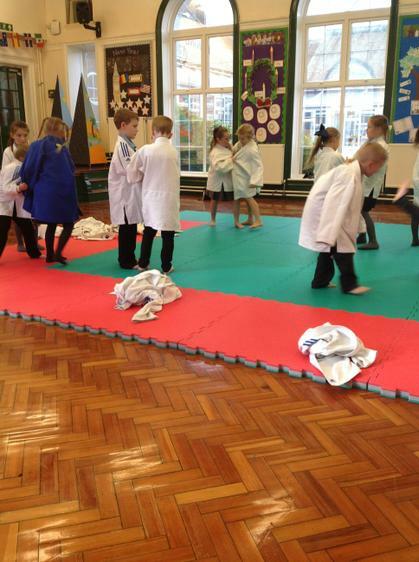 PE - In 3W we have PE on a Tuesday afternoon. 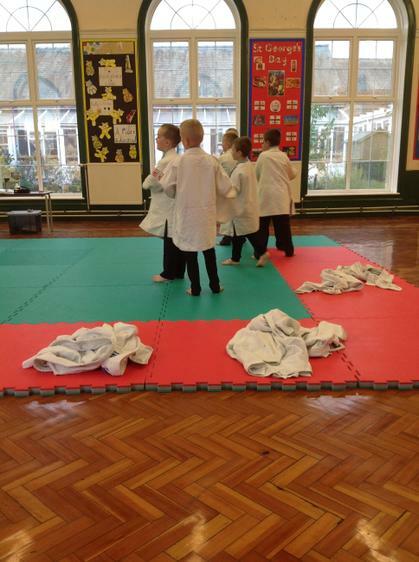 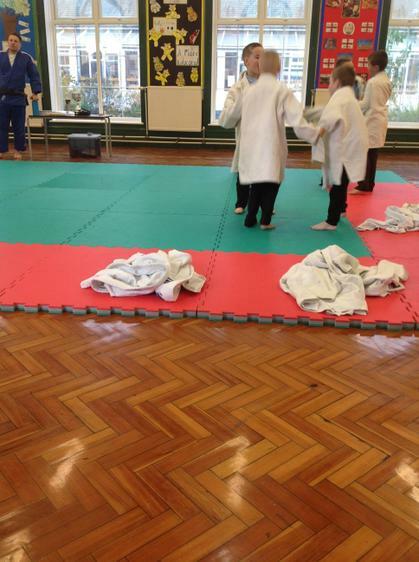 Children must bring in their PE kit every week. 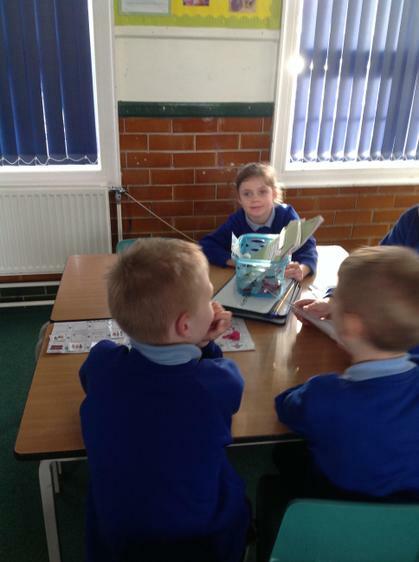 Swimming - 3W are swimming on a Friday afternoon. 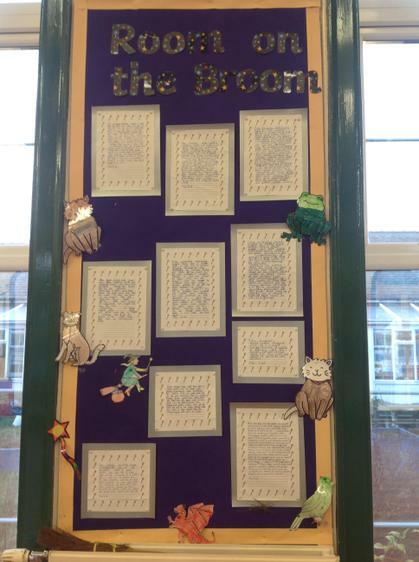 Reading - We encourage children to read 3 times a week and have this signed by an adult. 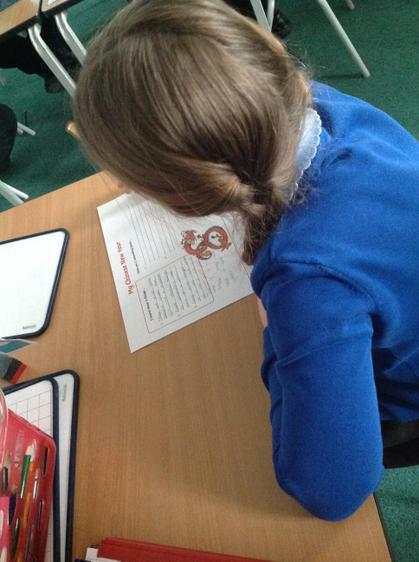 Homework - Reading, maths and spelling homework will be handed out on a Friday to be returned by the following Wednesday. 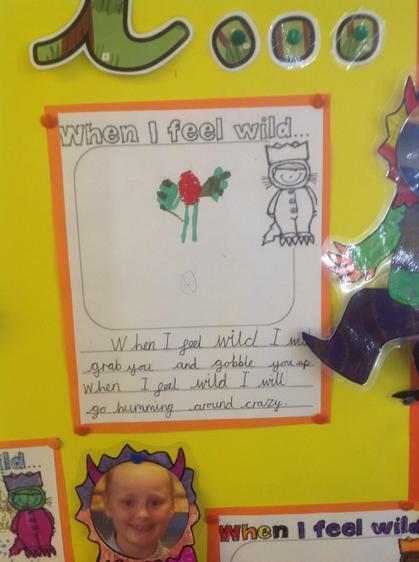 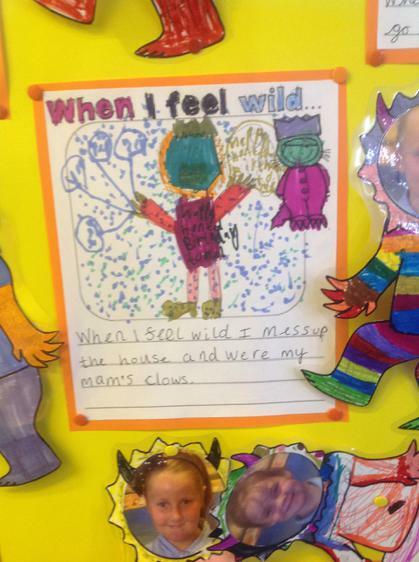 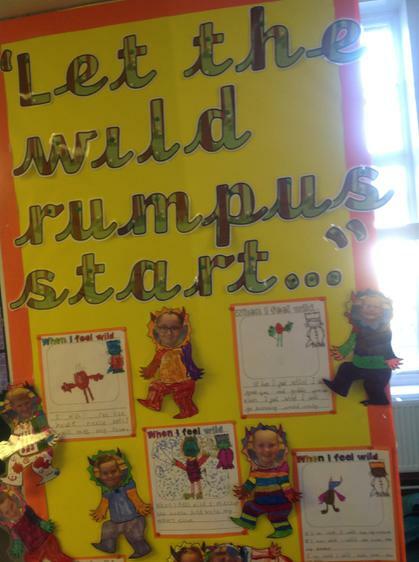 We have been reading the story 'Where the wild things are'. 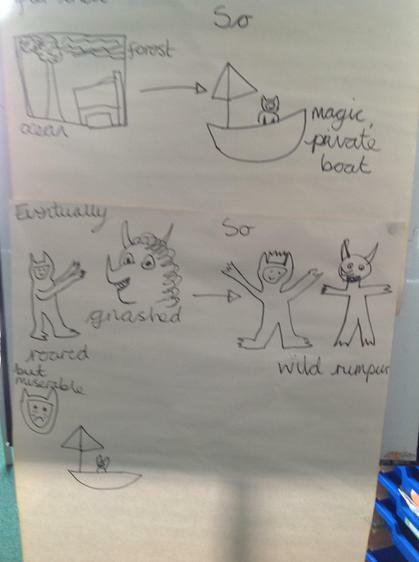 We have enjoyed learning all about mischievous Max and his adventures. 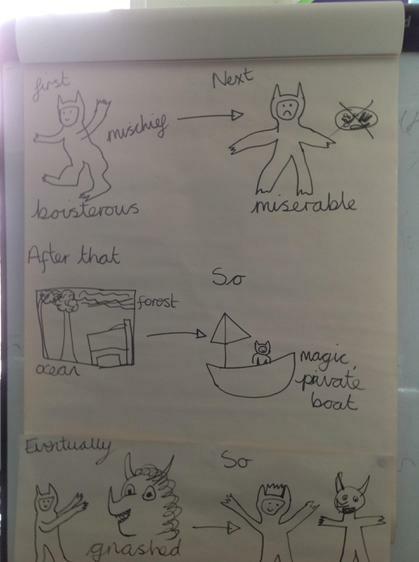 We have practiced retelling the original story and even adapted the story to make it our own! 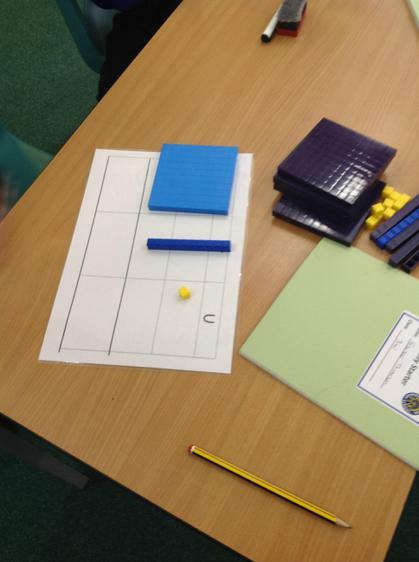 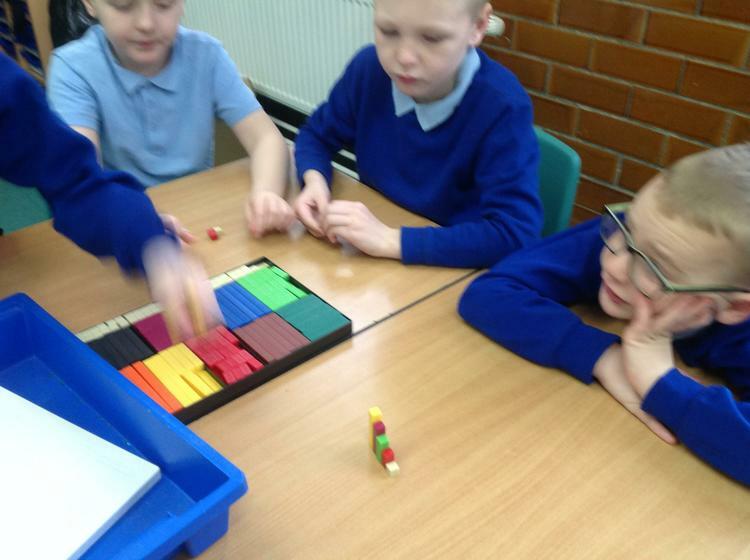 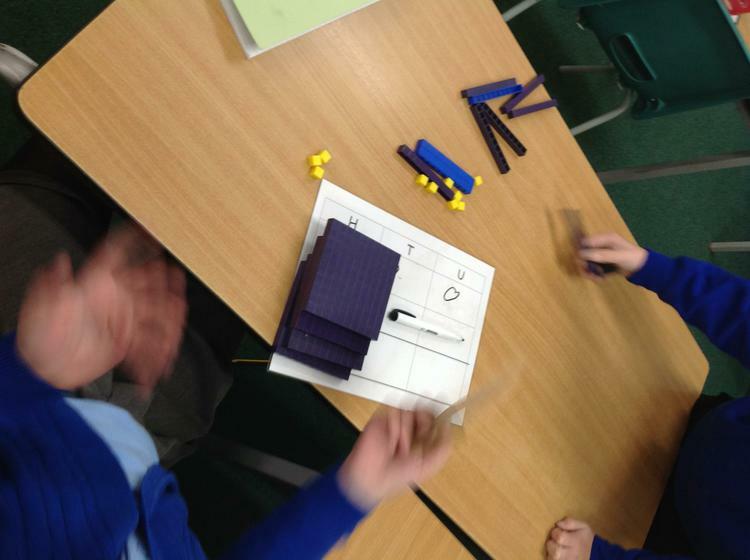 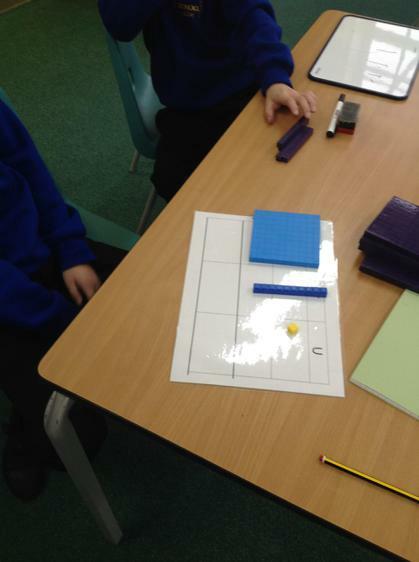 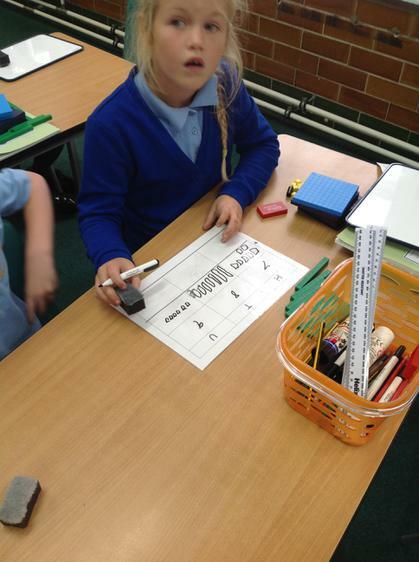 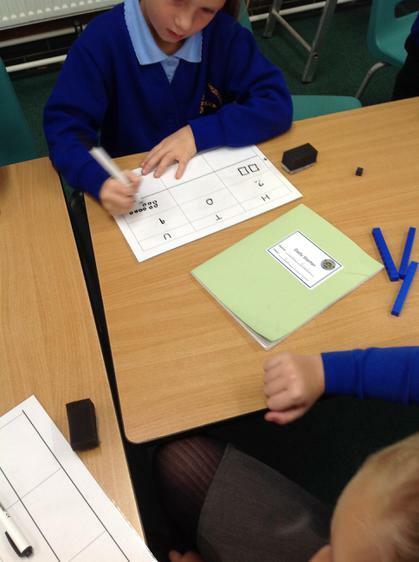 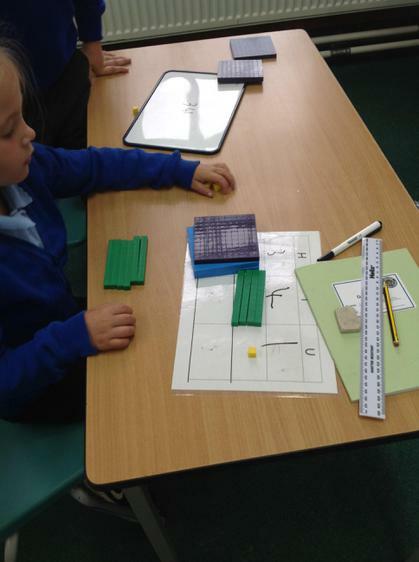 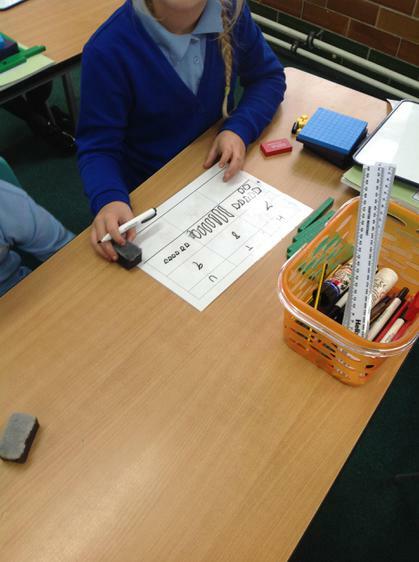 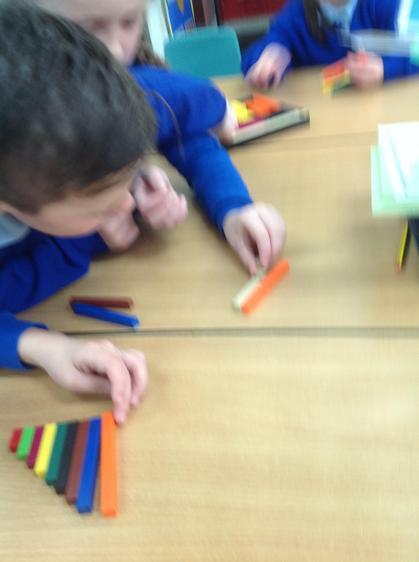 In maths we have been learning all about place value in 3-digit numbers! 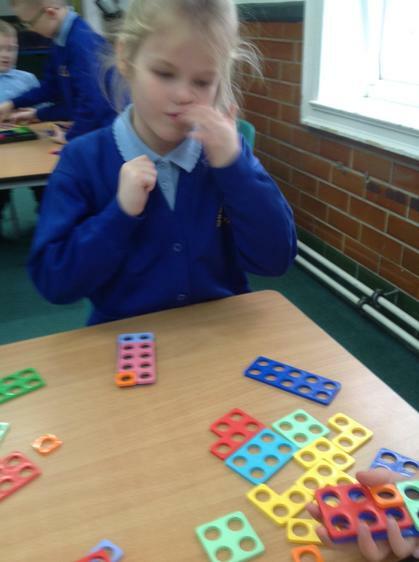 This is very tricky so we need lots of practice! 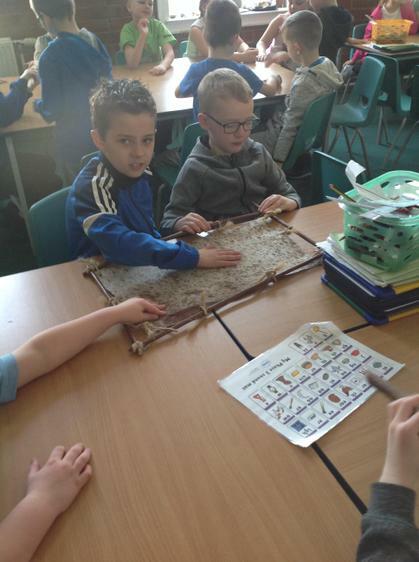 We have been learning about Pitman Painters. 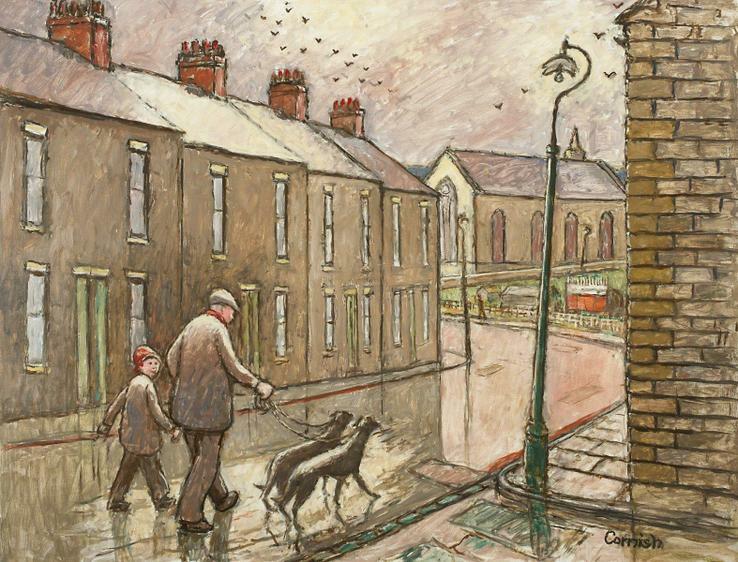 We learned all about an English mining artist called Norman Cornish, he was a member of the Pitman's Academy in. 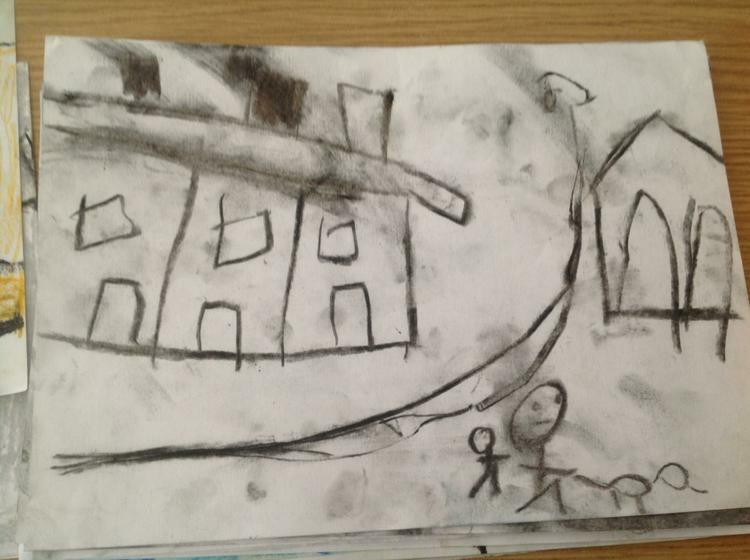 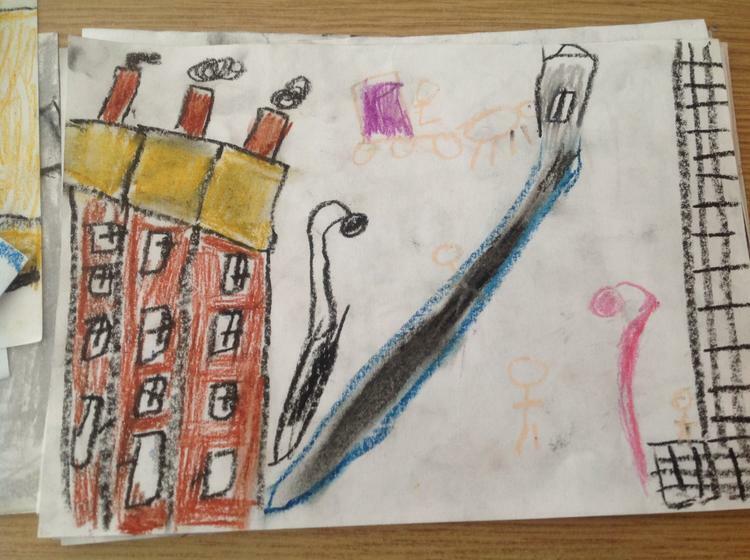 He used a range of materials to make his artwork and we experimented recreating one of his drawings in our own style. 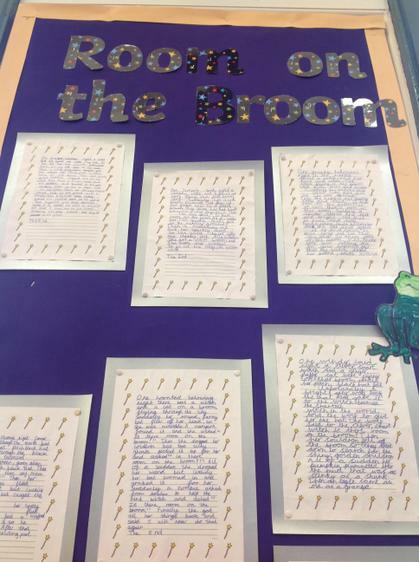 We have been reading the story 'Room on the Broom' by Julia Donaldson. 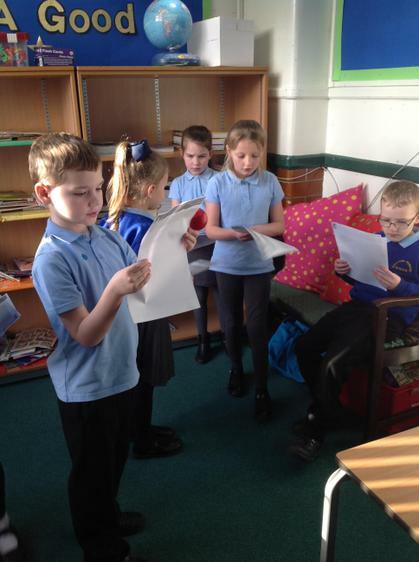 We read the story carefully then retold the story ourselves in small groups. 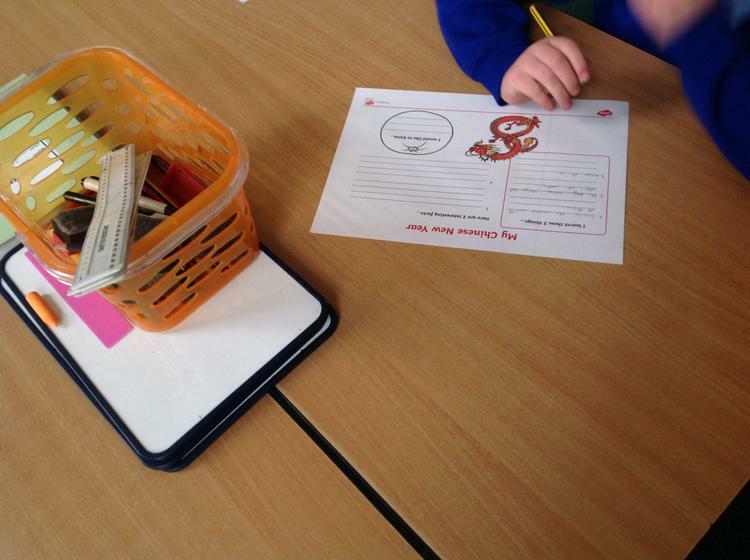 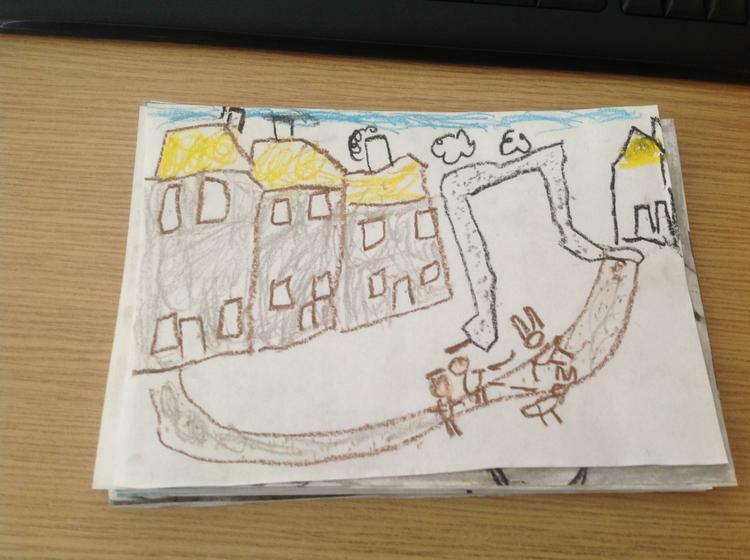 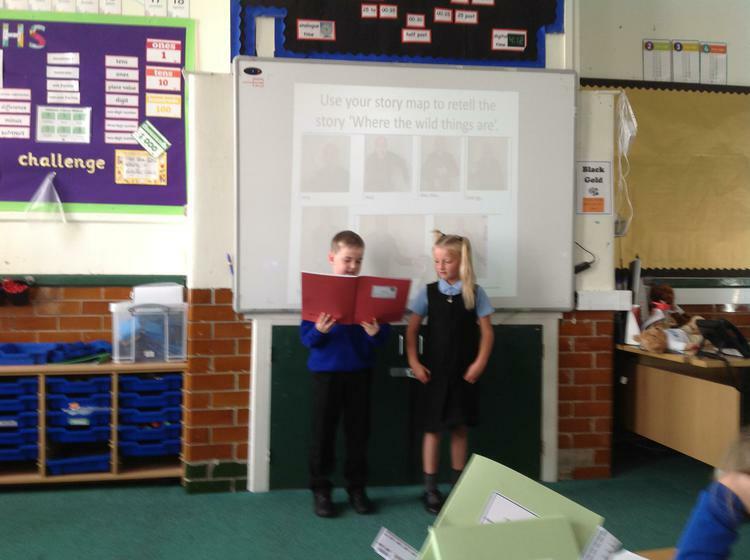 We then made a story map to help us plan our writing. 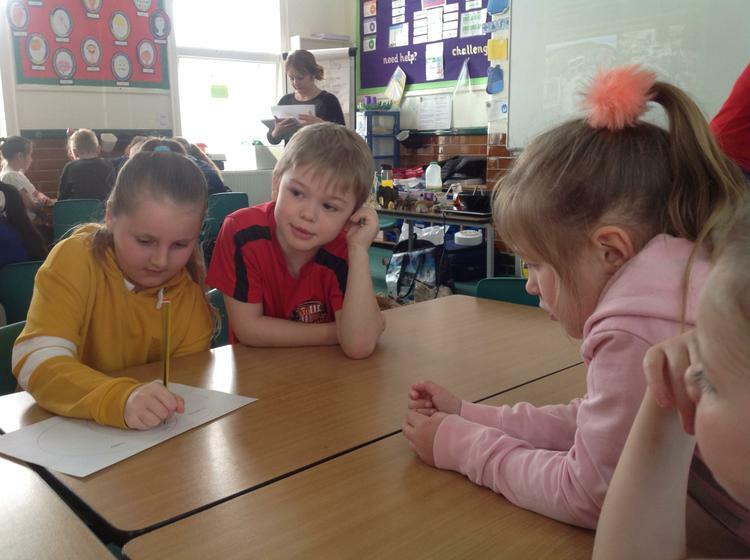 We had fun changing different parts and wrote some wonderful stories. 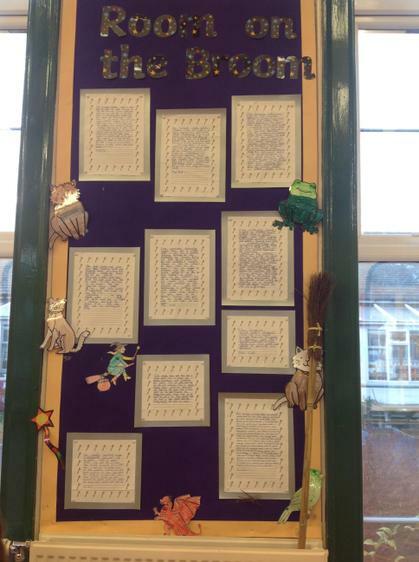 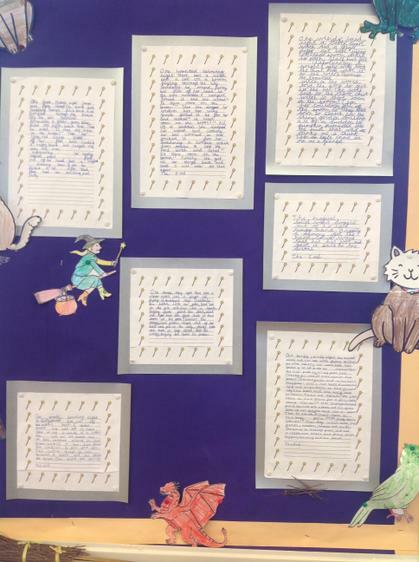 We were so proud of our writing we decided to display it in the hall. 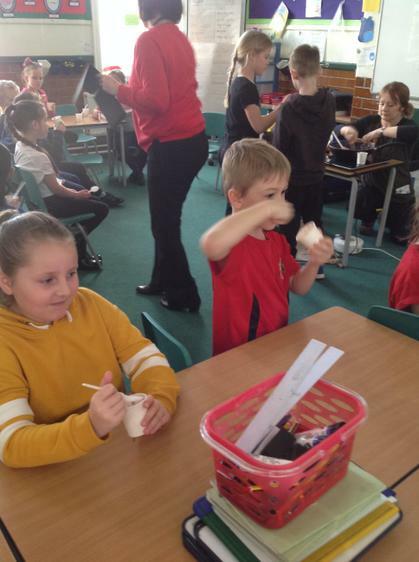 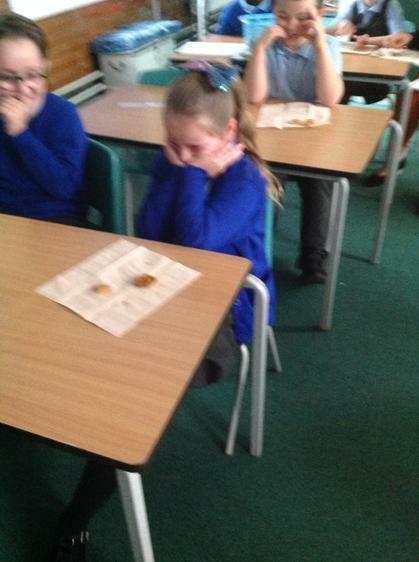 To commemorate the centenary of the First World War, we decided to look at how people ate during the war and how their ration were used. 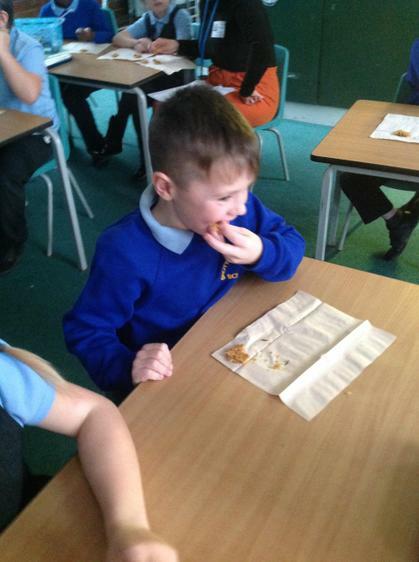 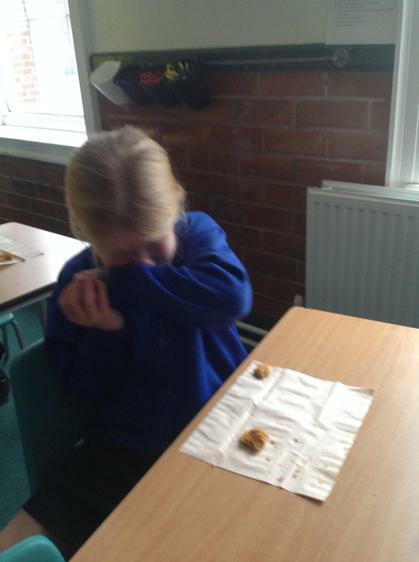 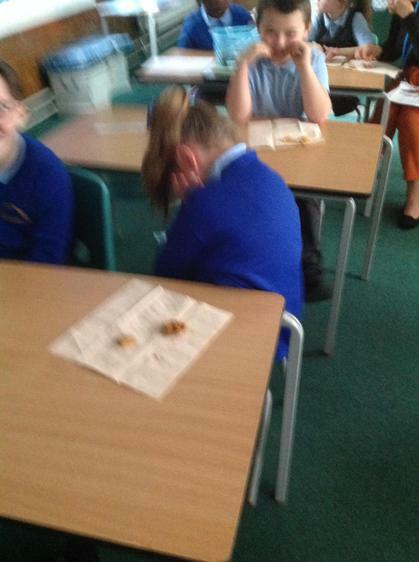 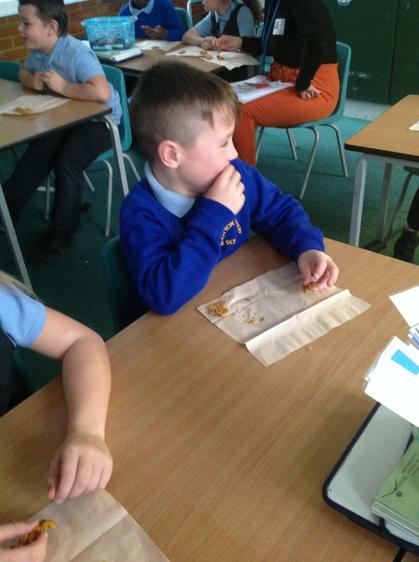 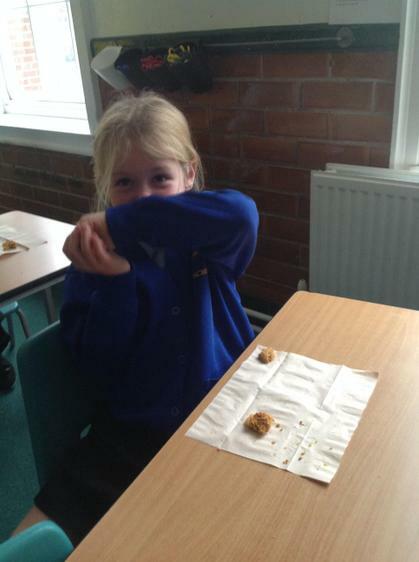 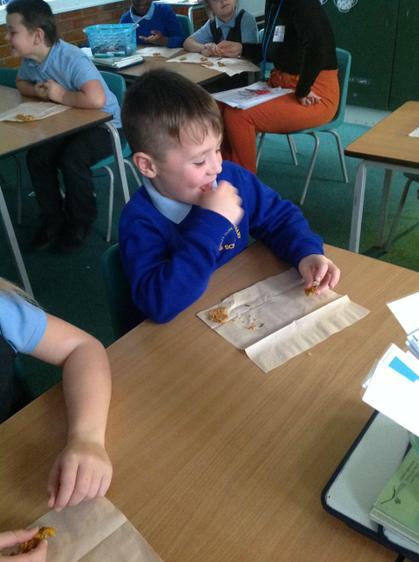 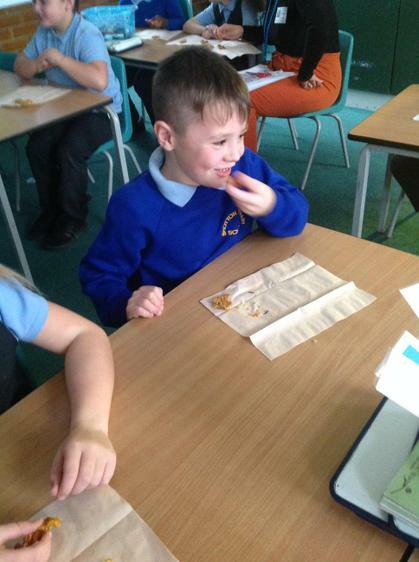 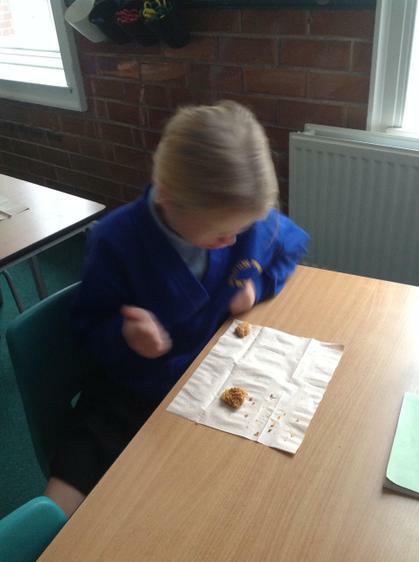 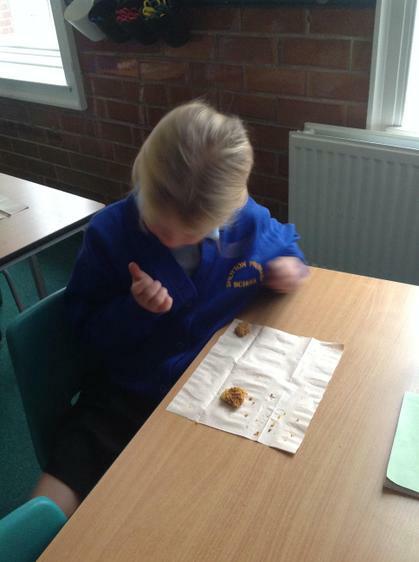 We tried some food using recipes from an old ration book, we were not very impressed with the taste! 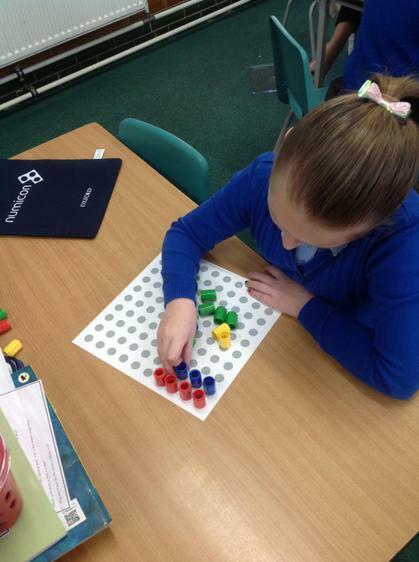 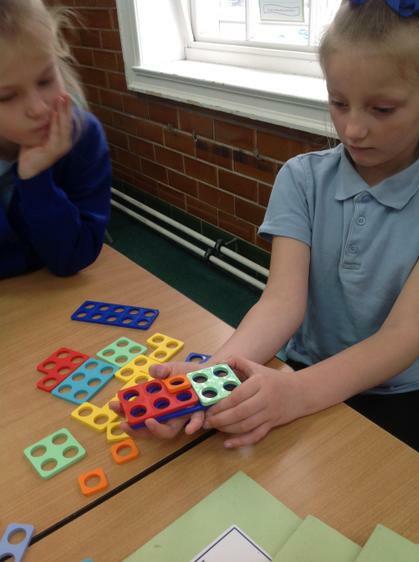 We have introduced some lovely new maths resources, including new numicon shapes, we are very excited to use these wonderful new resources and can't wait to see how they will help with our mathematical learning. 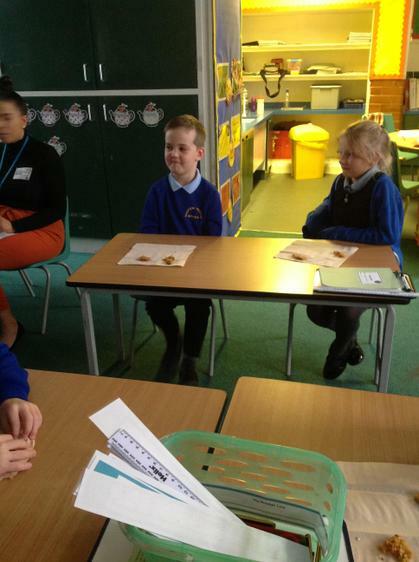 In Science our topic this term is rocks and fossils. 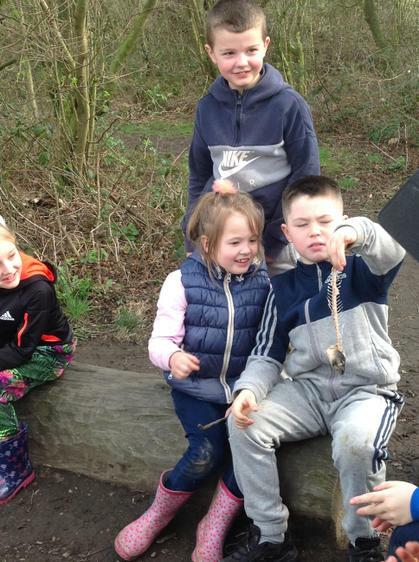 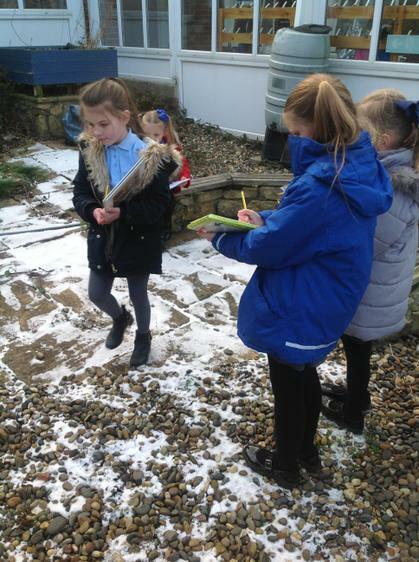 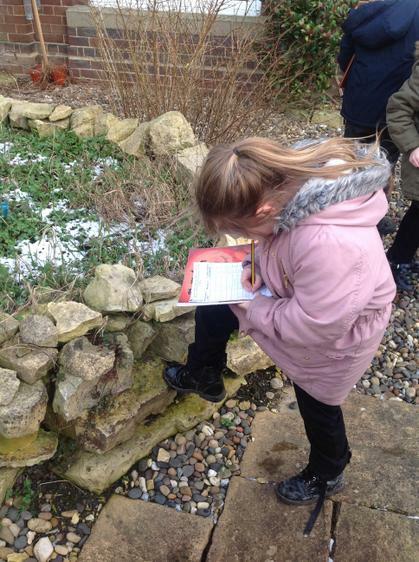 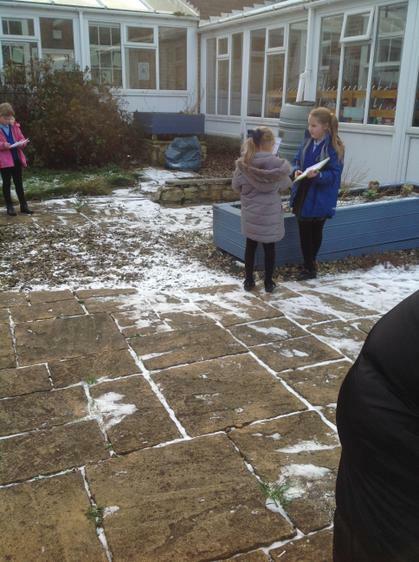 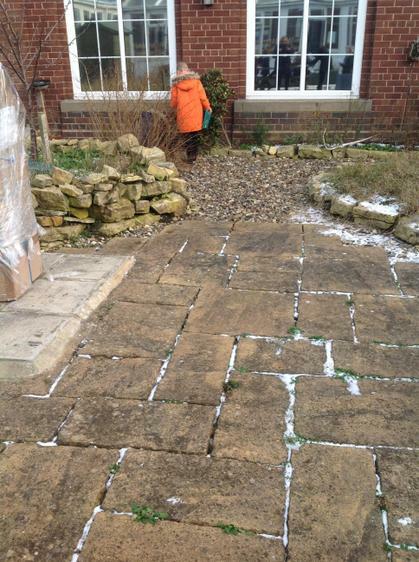 So far we have been exploring the different between natural and man made rocks, we went for a walk around school to find and record different types of natural and man made rock. 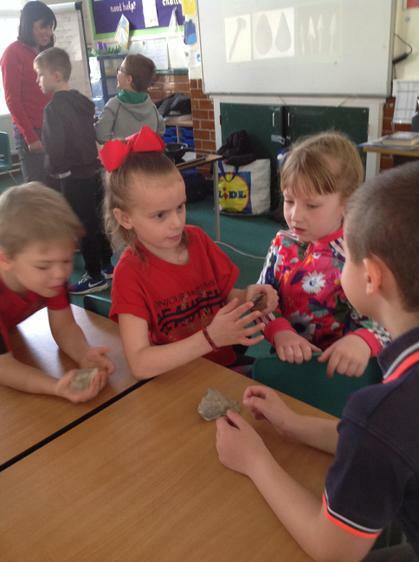 We are looking forward to organising, sorting and experimenting with different rocks. 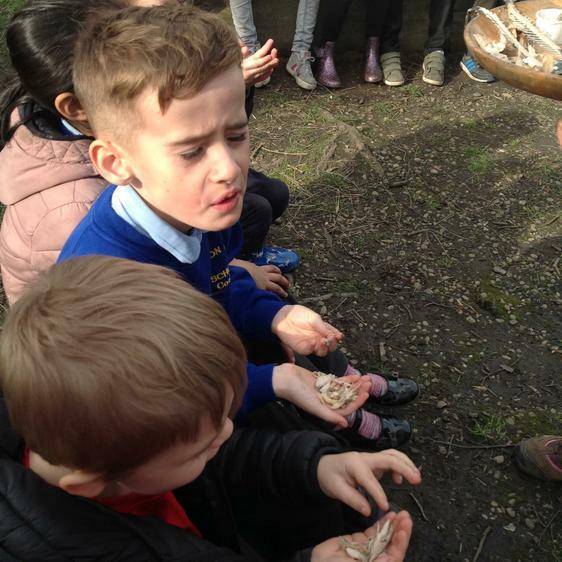 We are especially looking forward to finding out more about fossils. 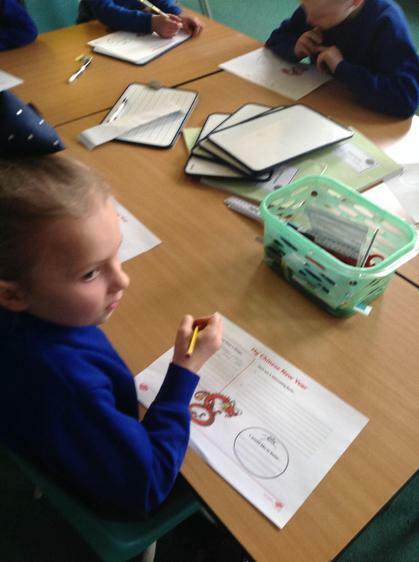 To celebrate Chinese New Year we looked at the the Chinese New Year story and researched about how this festival is celebrated. 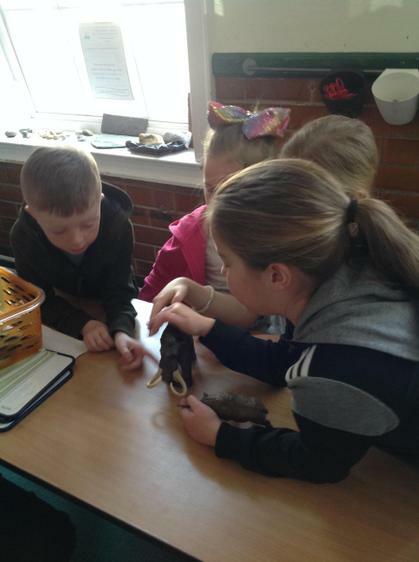 We even explored which animal we were born under. 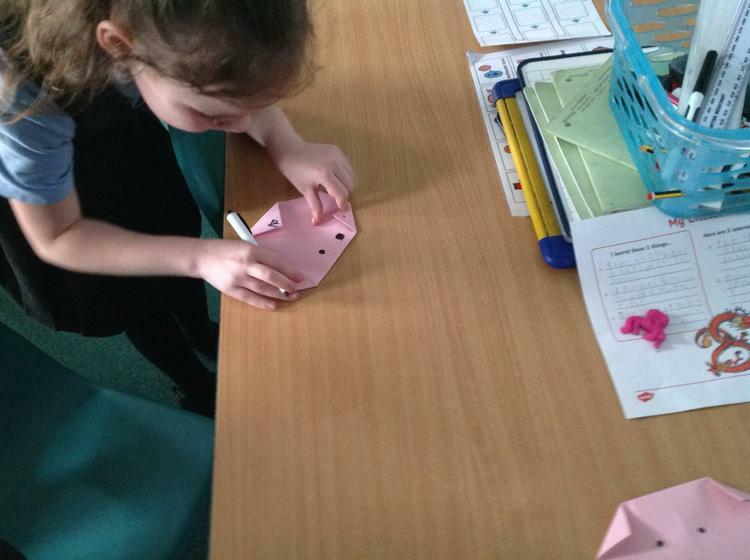 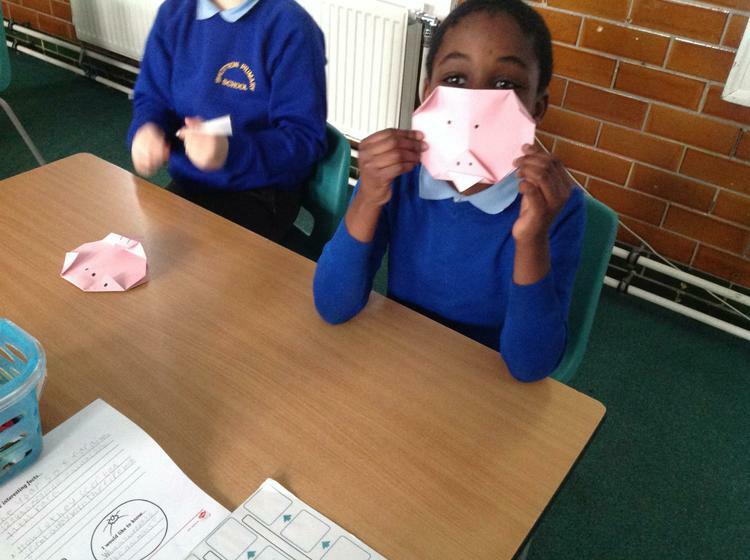 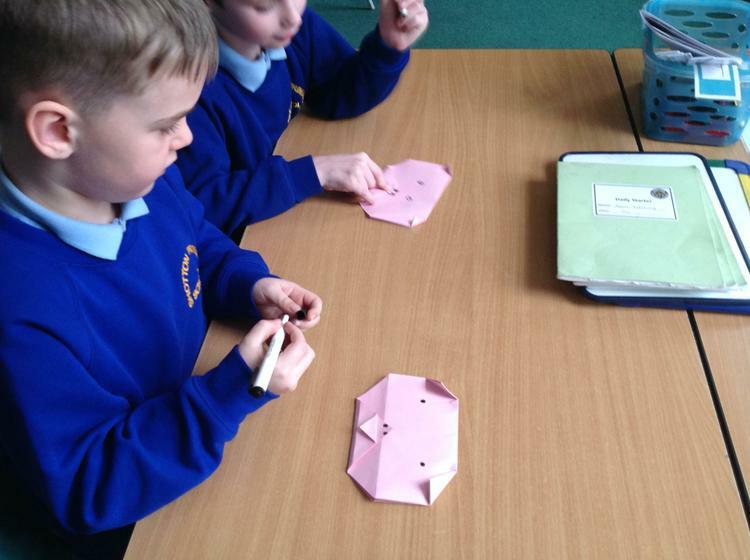 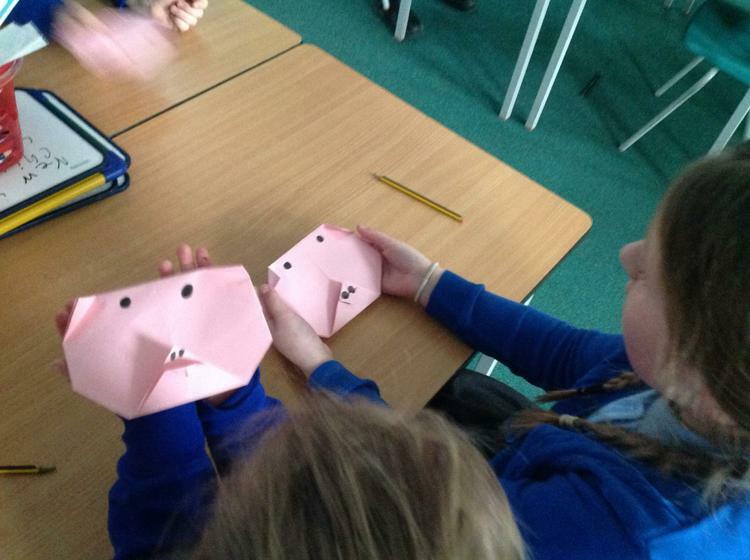 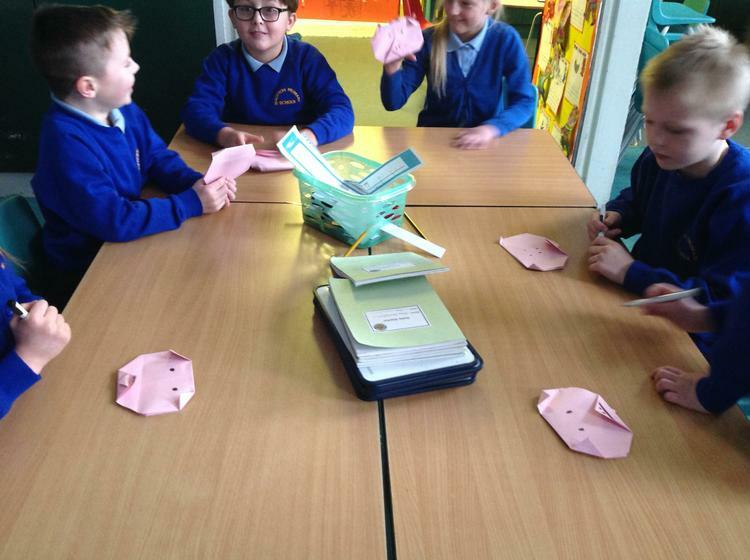 Then we made origami pigs to celebrate the Year of the pig. 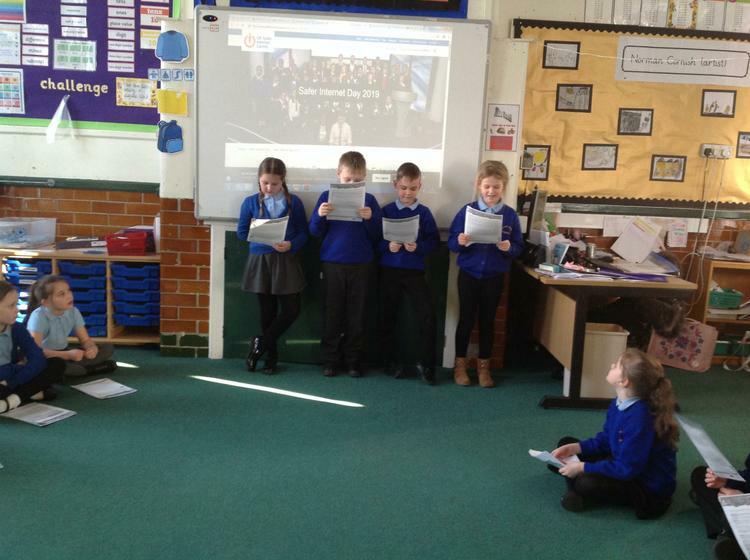 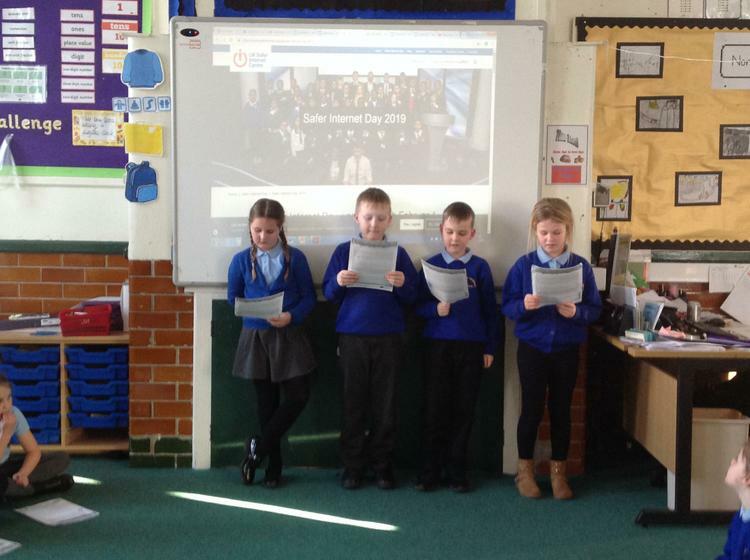 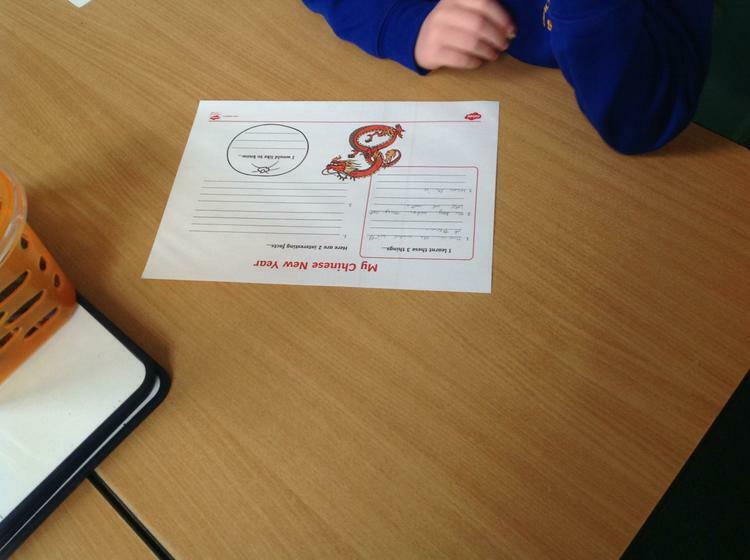 On Safer Internet Day we spent a lot of time talking about how we can stay safe when online, we had some fantastic ideas and could talk sensibly and responsibly about how to stay safe online. 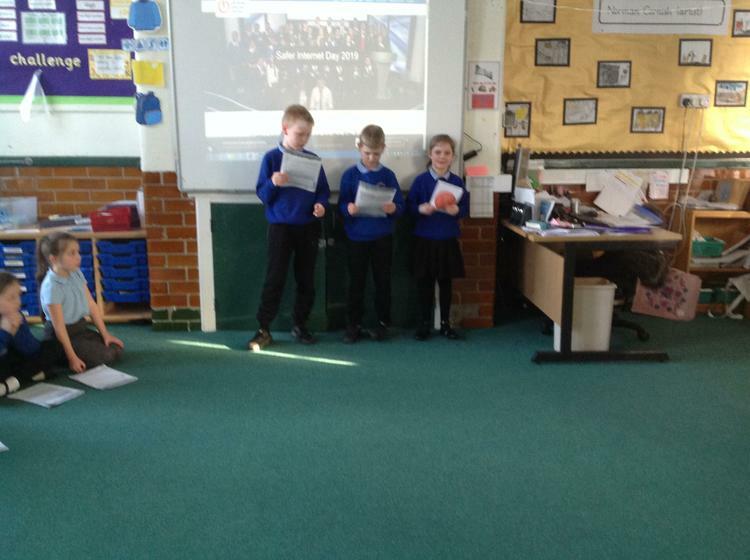 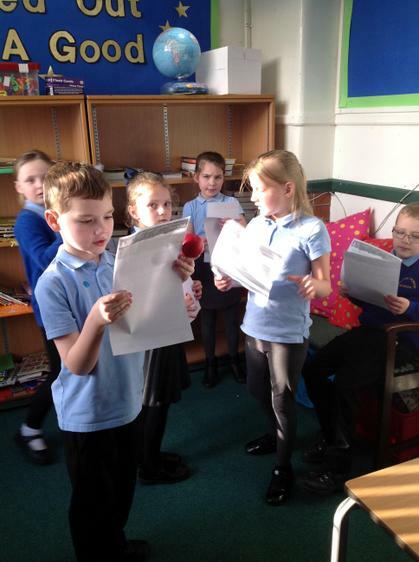 Using this knowledge we performed short plays looking at some of the issues that arise online, such as cyber-bullying, talking to strangers and staying safe when playing online with our friends. 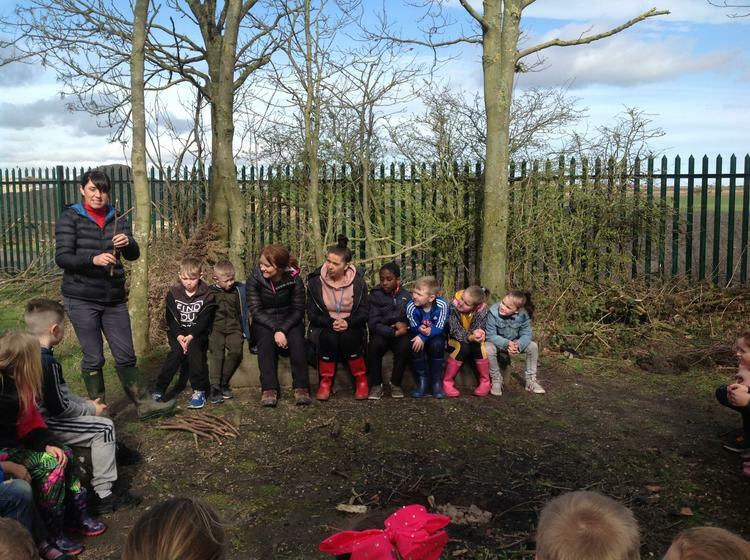 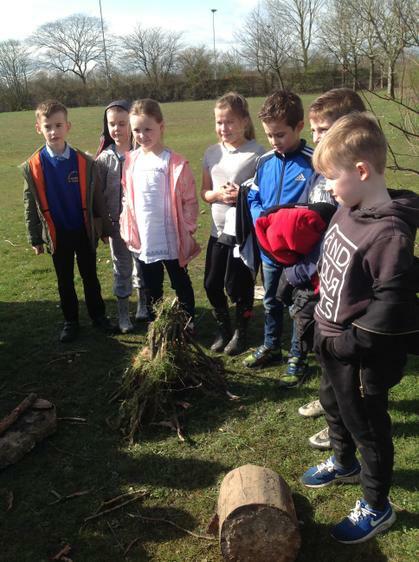 Learning how to survive in the wild, a visit from Scouted! 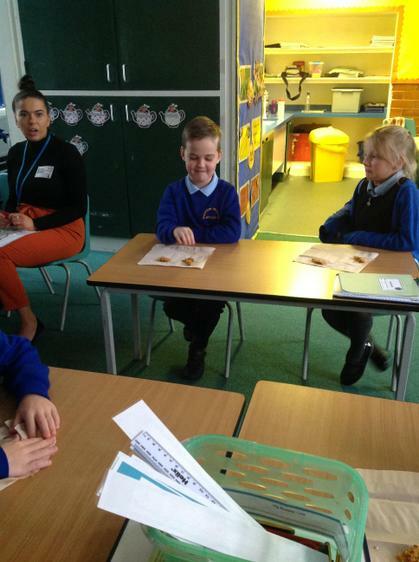 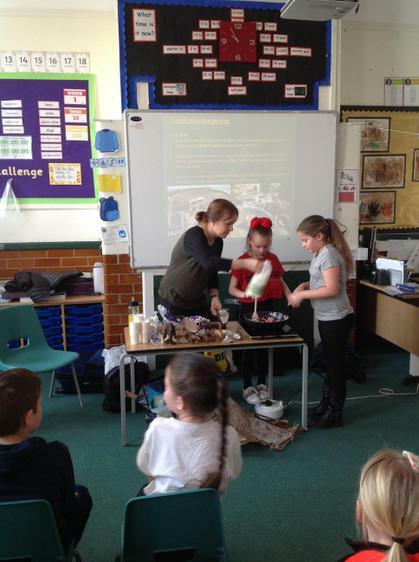 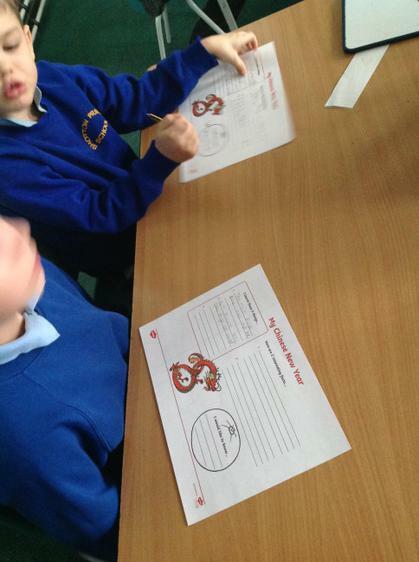 Year 3 had a wonderful time yesterday during their visit from Scouted. 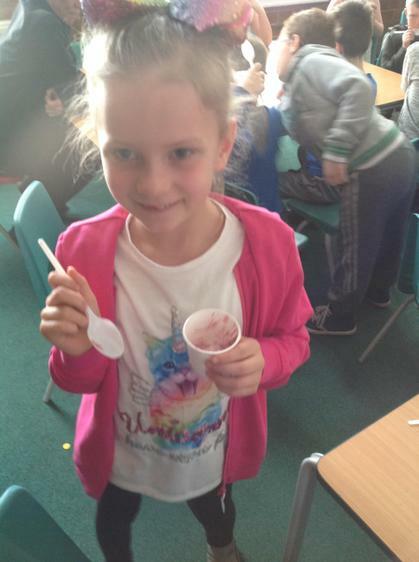 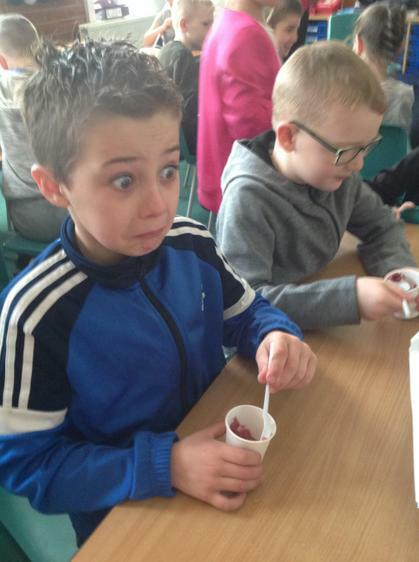 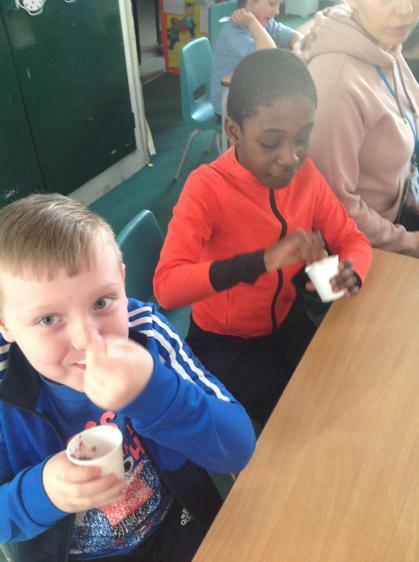 We started the day exploring Stone Age artefacts and then made Stone Age style porridge using mixed berries and honey, it was delicious! 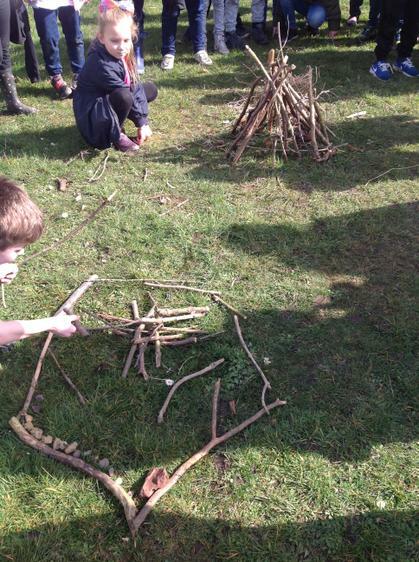 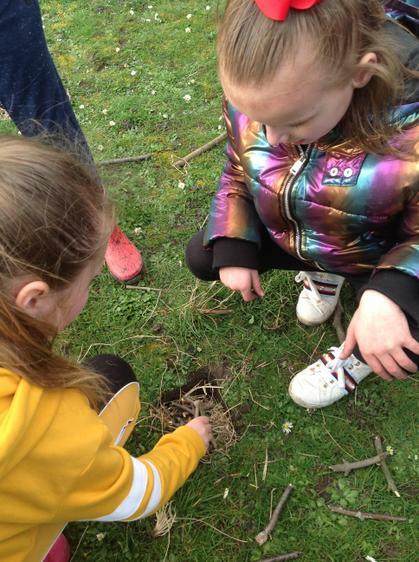 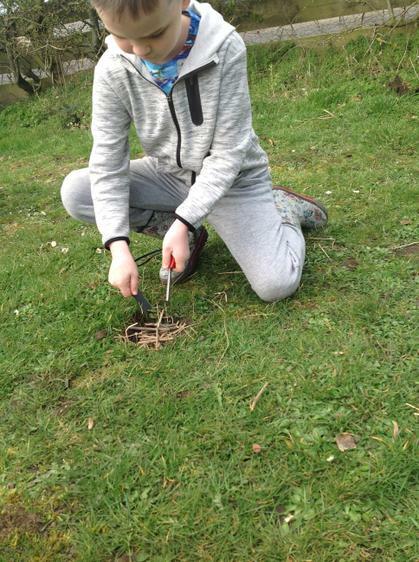 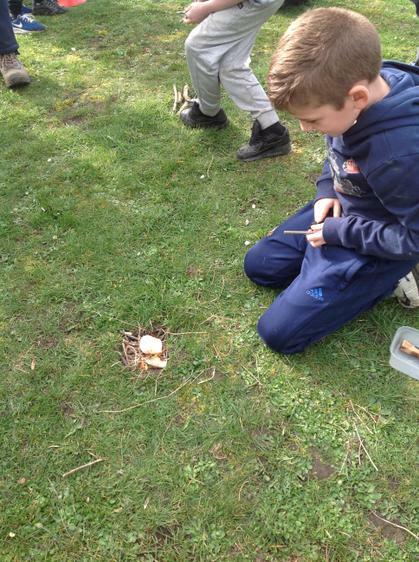 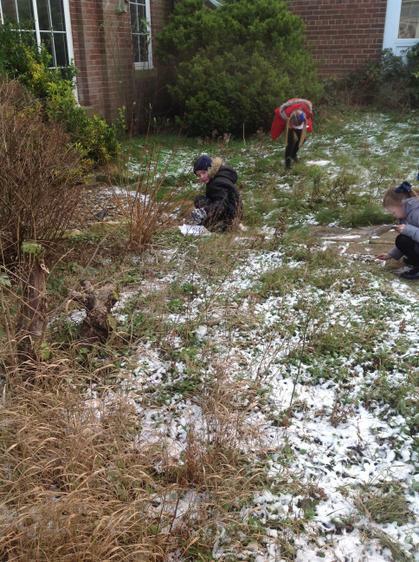 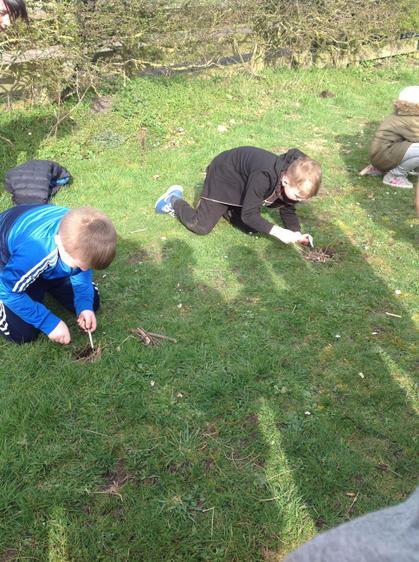 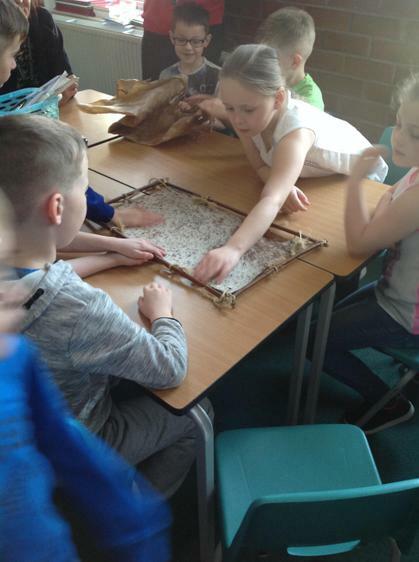 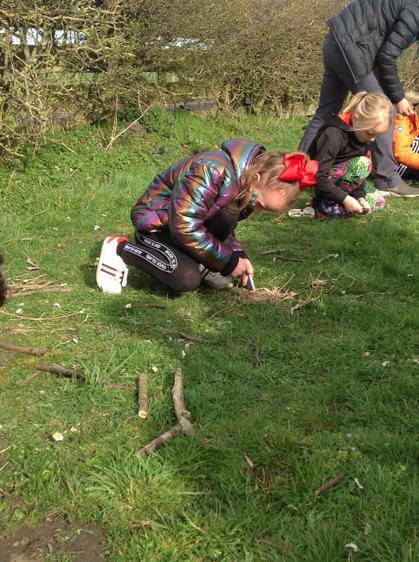 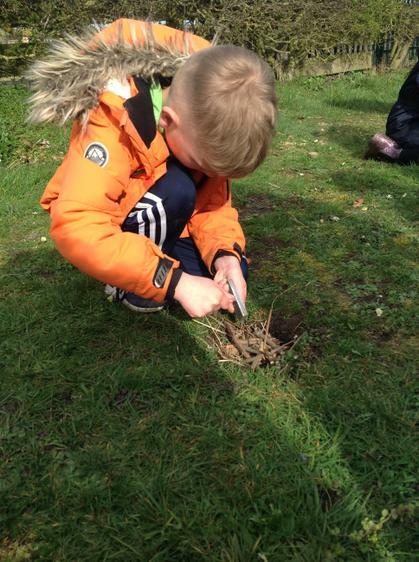 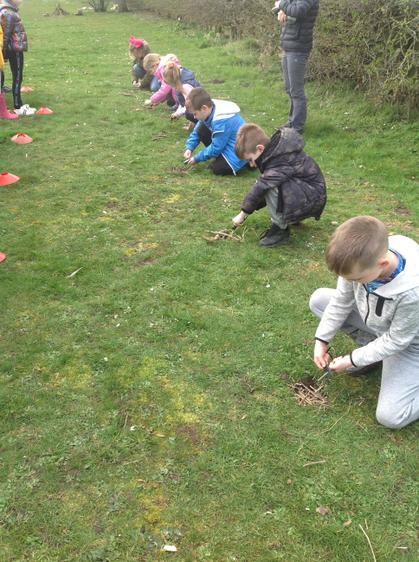 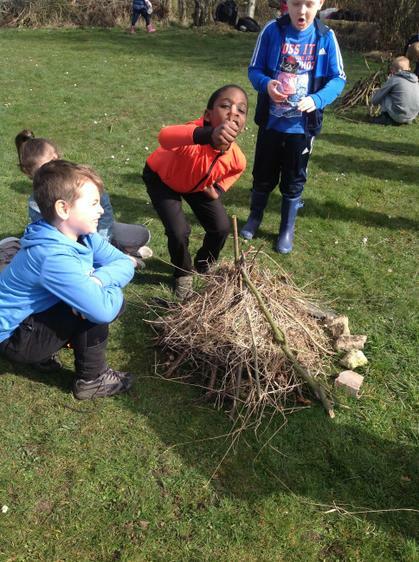 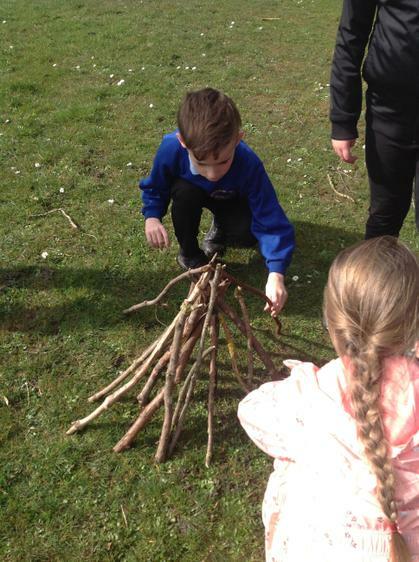 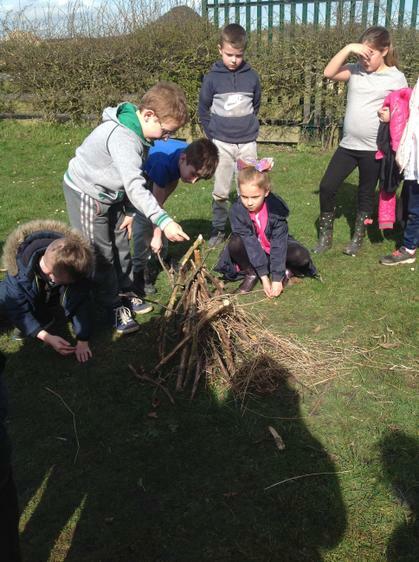 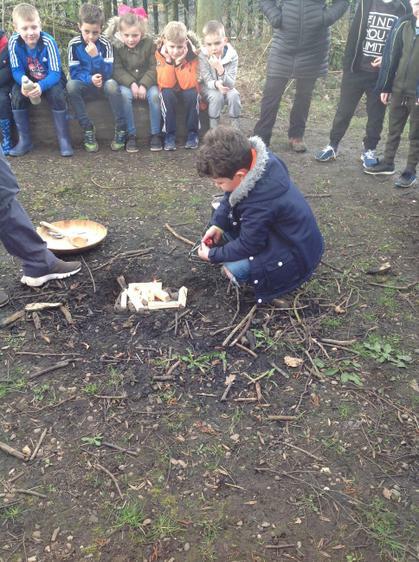 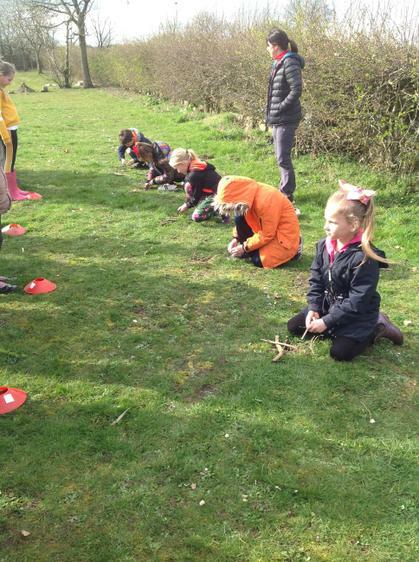 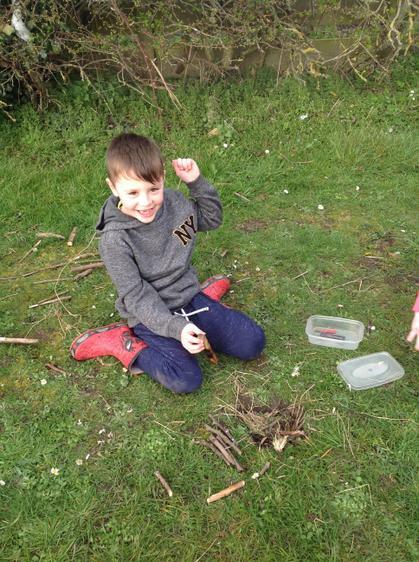 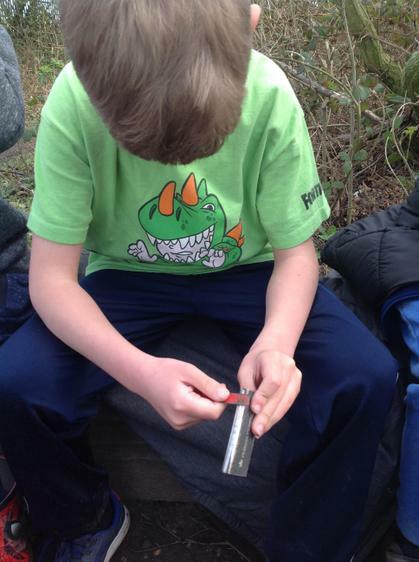 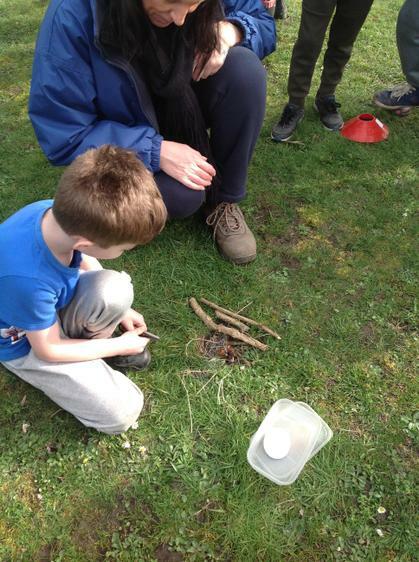 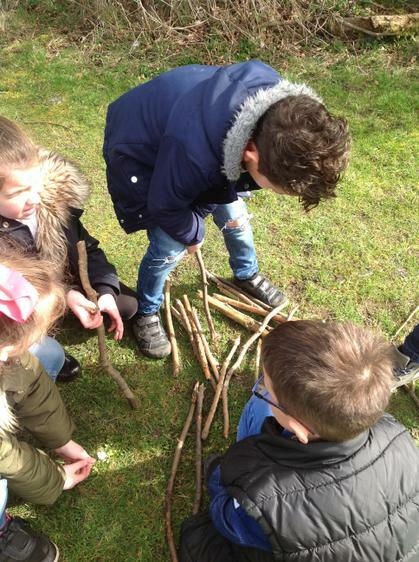 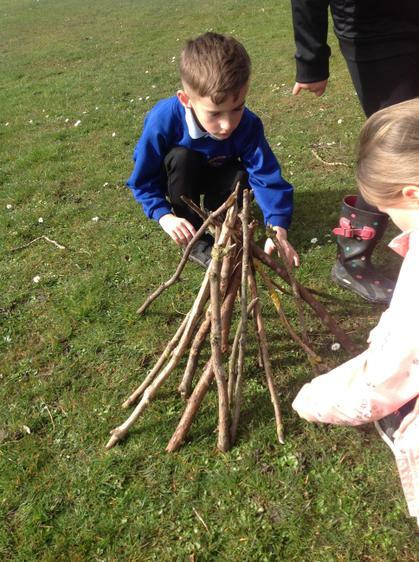 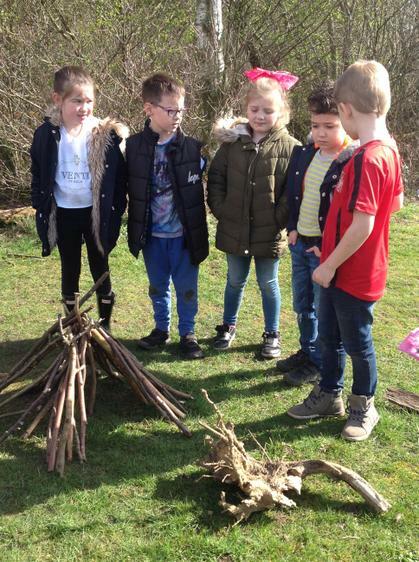 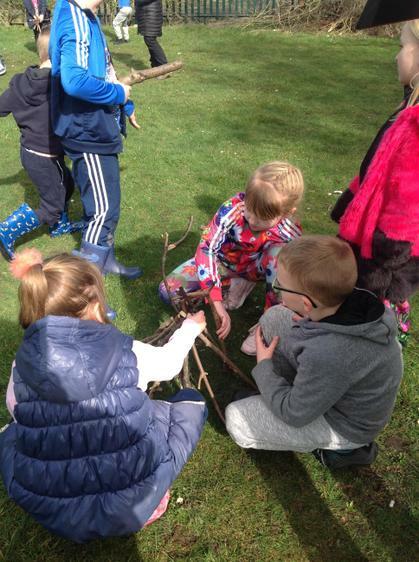 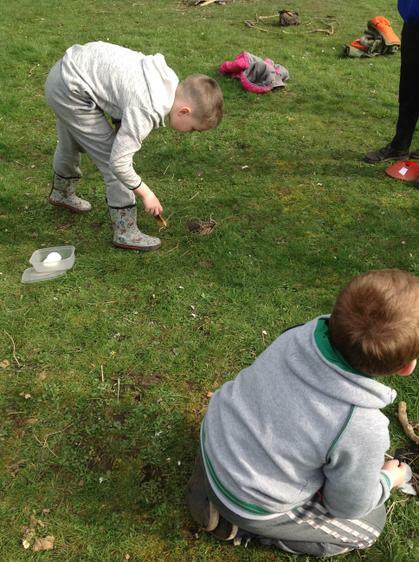 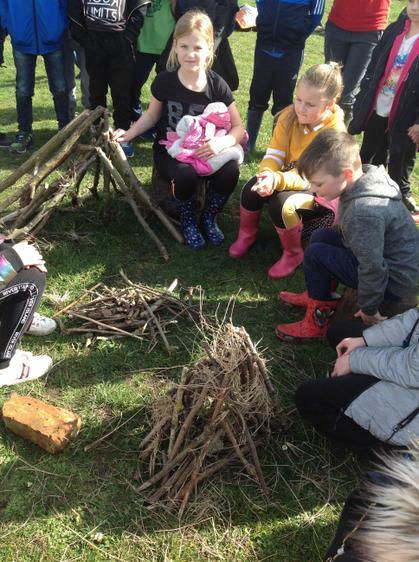 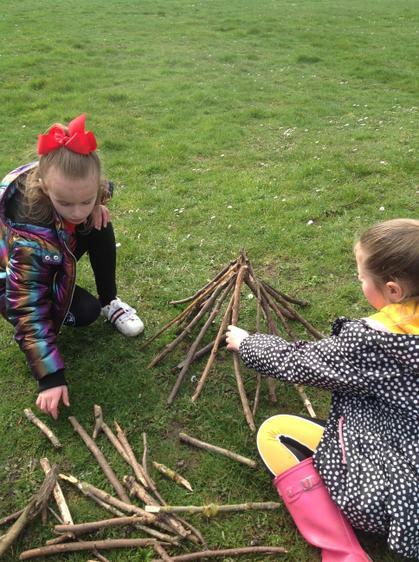 Then we made our own Mesolithic houses to help survive in the wild. 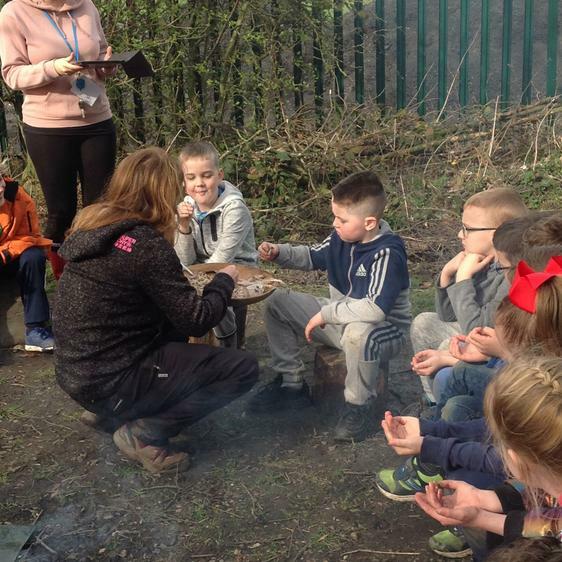 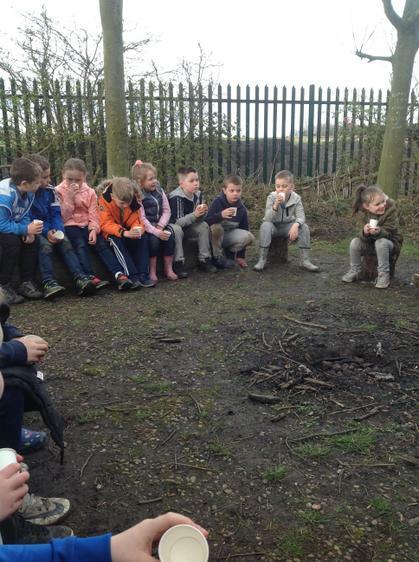 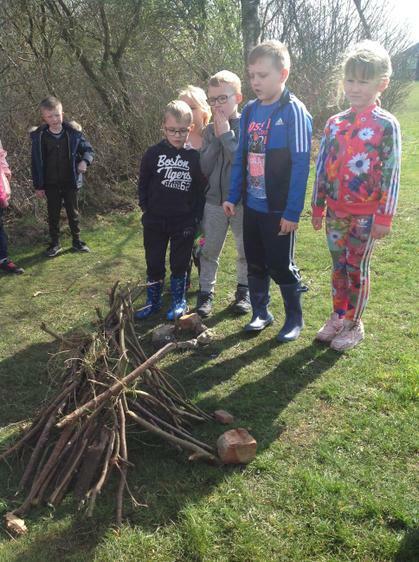 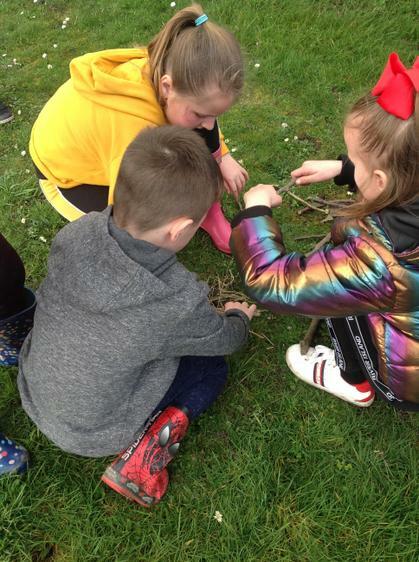 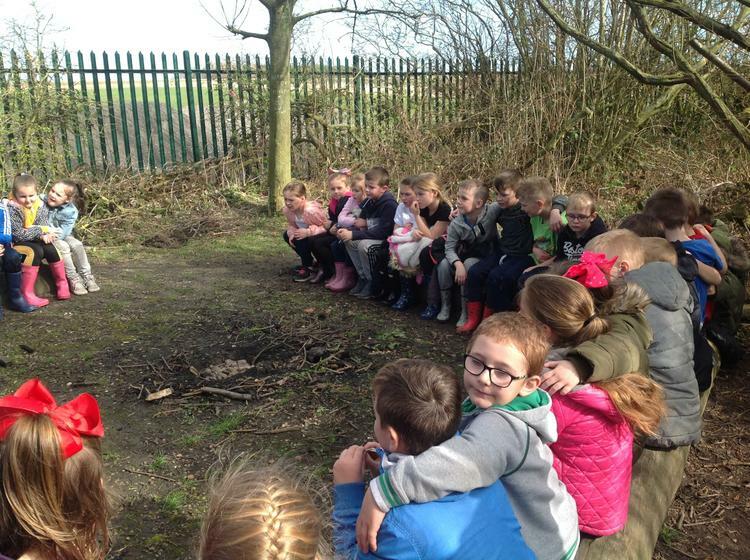 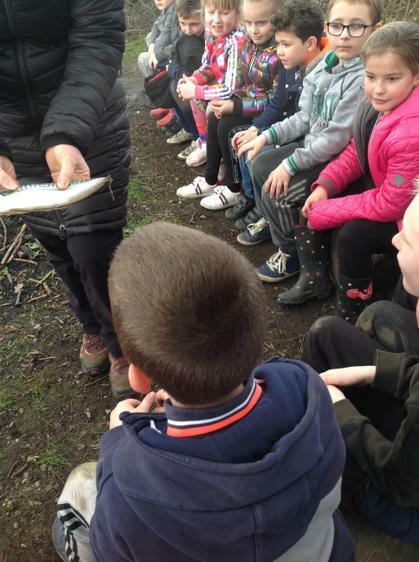 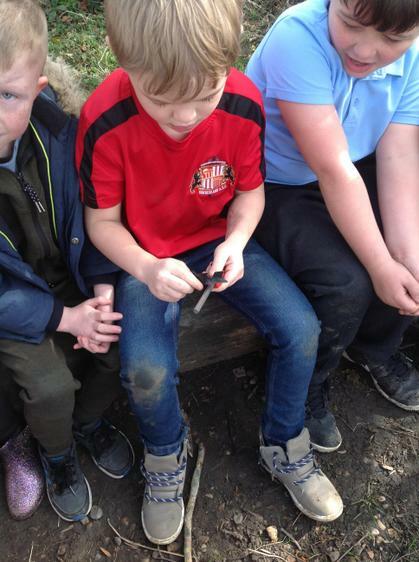 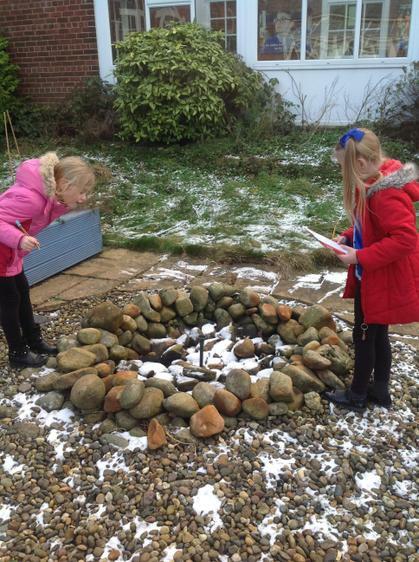 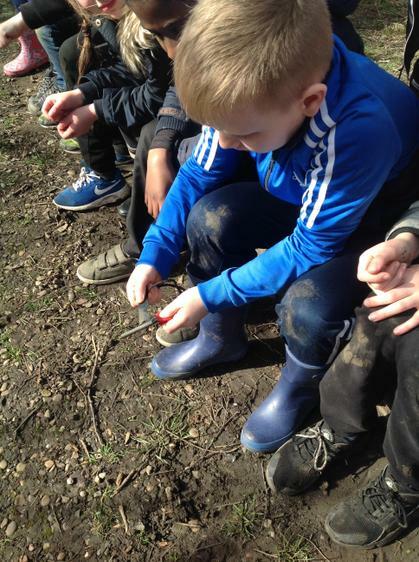 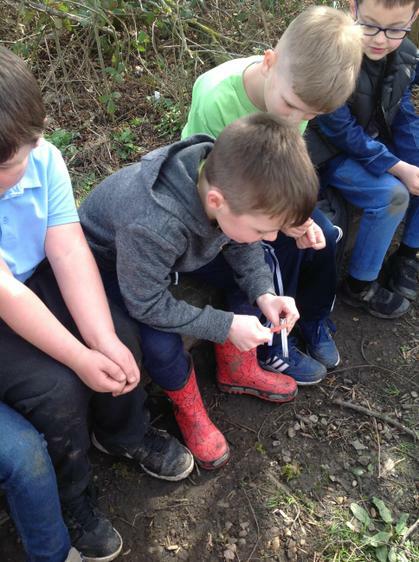 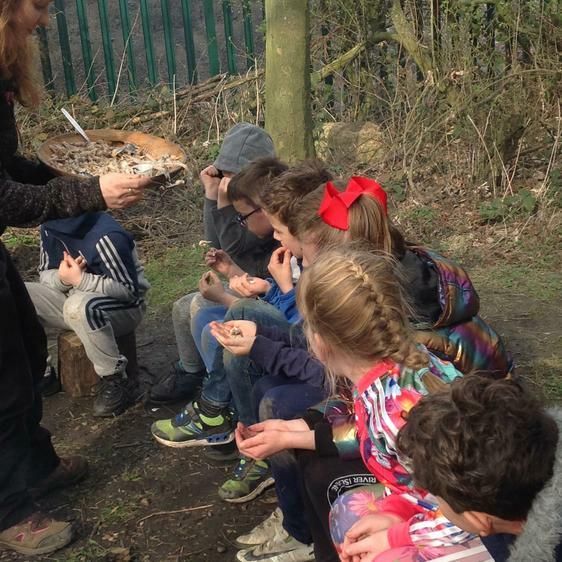 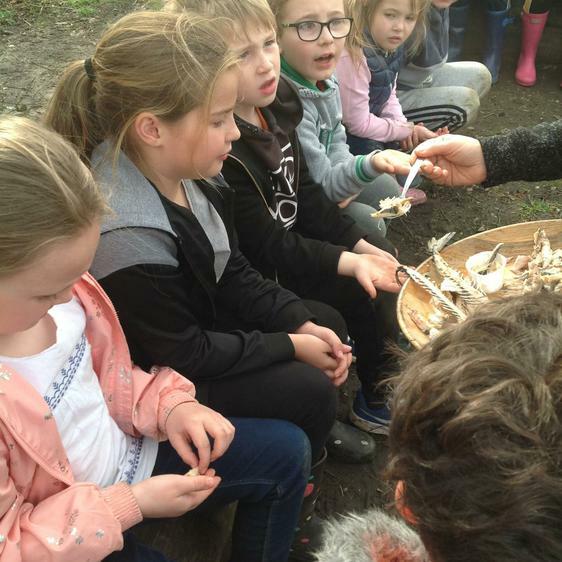 As we worked so hard and listened so well we were then given the chance to start our own fires using a flint, like the Stone Age people would have used. 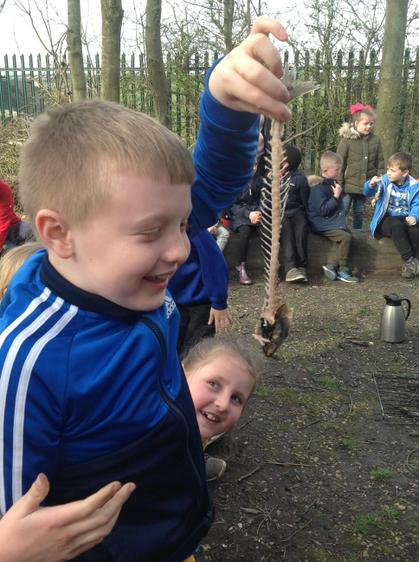 We really enjoyed our day!